Sometimes, for many reasons, most beyond our control, plans that have been in place for months don’t turn out quite the way those plans were originally written. So, what to do? We looked at our options, and turned our attention to what was possible. 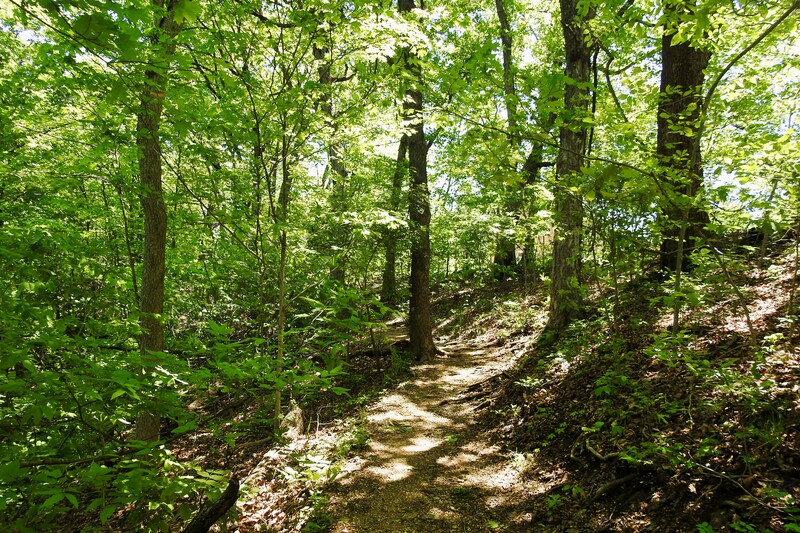 Spring in mid-Missouri is absolutely gorgeous, due primarily to the dogwoods and redwoods that explode in the woodlands, on the cliffs, and even along the interstates. 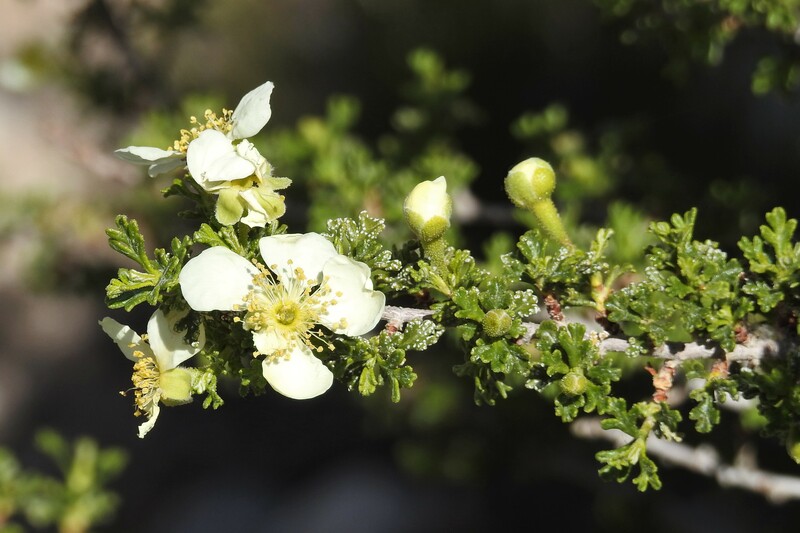 We have had an unusually cold start to spring this year, so those two spring staples are not yet in bloom. So we went to the woodland looking for the blossoms of spring…and the ephemerals, those small, delicate, flowers of very early spring that do not last too long. 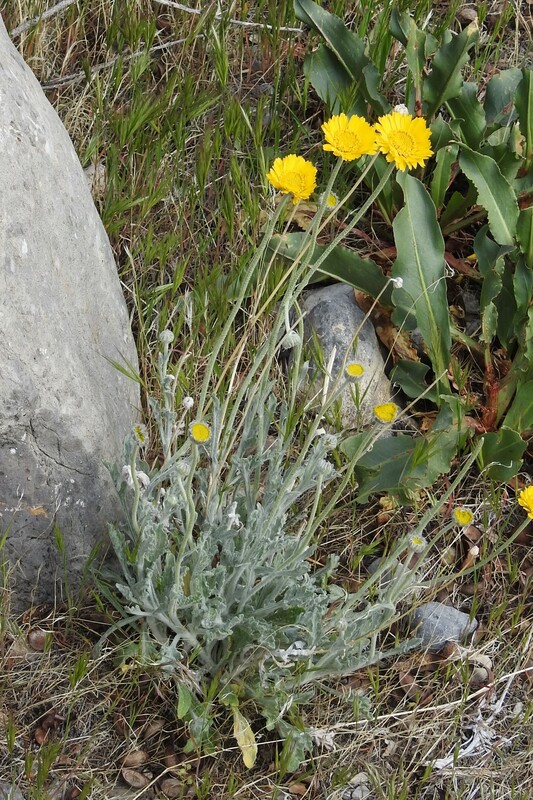 Some of them, especially the ones that show up in the lawn are called weeds. Maybe, but I love them anyway. We have some bird feeders, so I took time to sit and watch the birds. 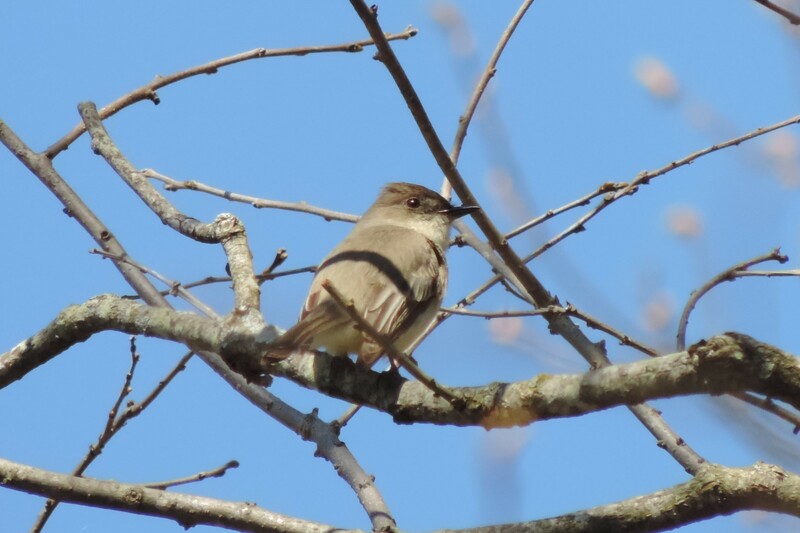 Some mornings there is a symphony of birdsong in our yard. This goldfinch as out looking at what we both hoped was our last snowfall of the winter! I love to watch the juncoes all winter…they will be leaving soon. Black-capped Chickadees are funny, quick darting little birds that love to crawl upside down all over the trees in the yard! I got this particular kind of seed to bring in Bluebirds, but we find woodpeckers on it all the time! while this little guys looks as if he has been scared out of his wits! 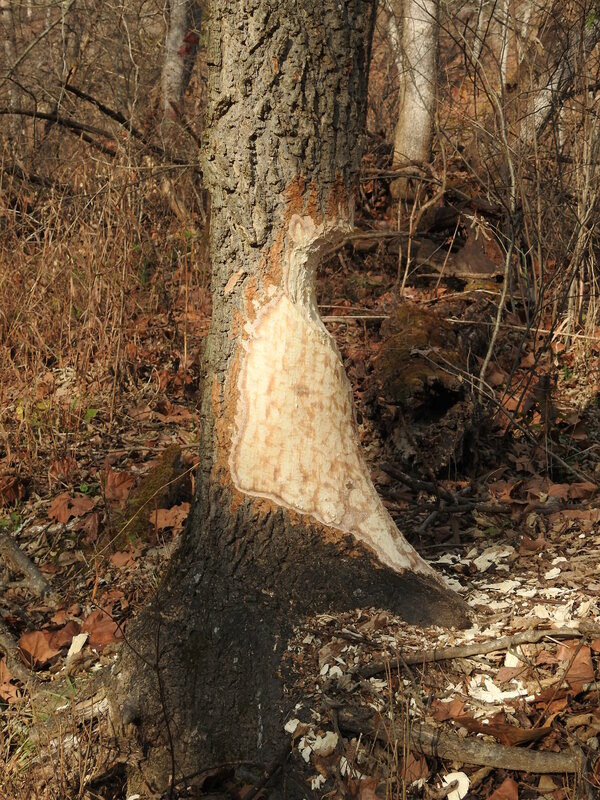 we saw how the beaver has affected the environment. 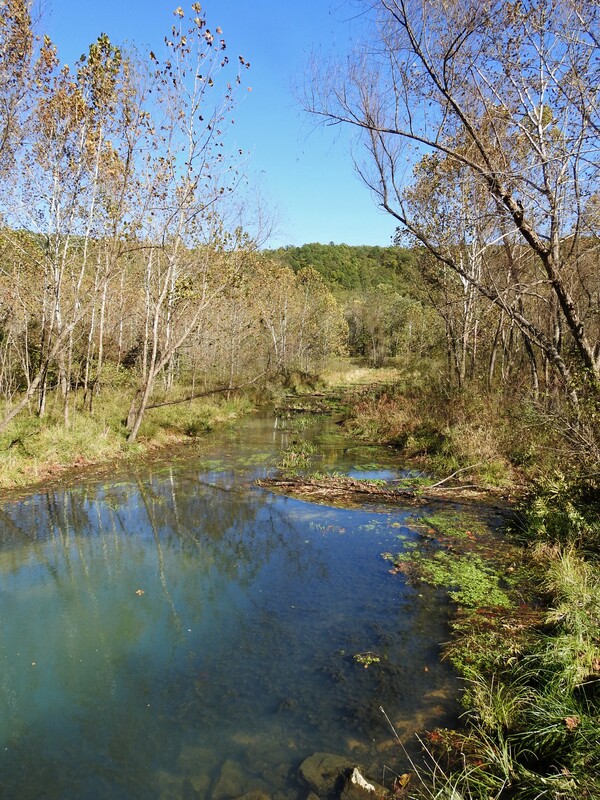 His dam building is not always harmful, as it aids in creating and maintaining wetlands. A Red-eared Slider out sunning on a warm day. These turtles need to sun in order to absorb enough vitamin D from the sun to be healthy. 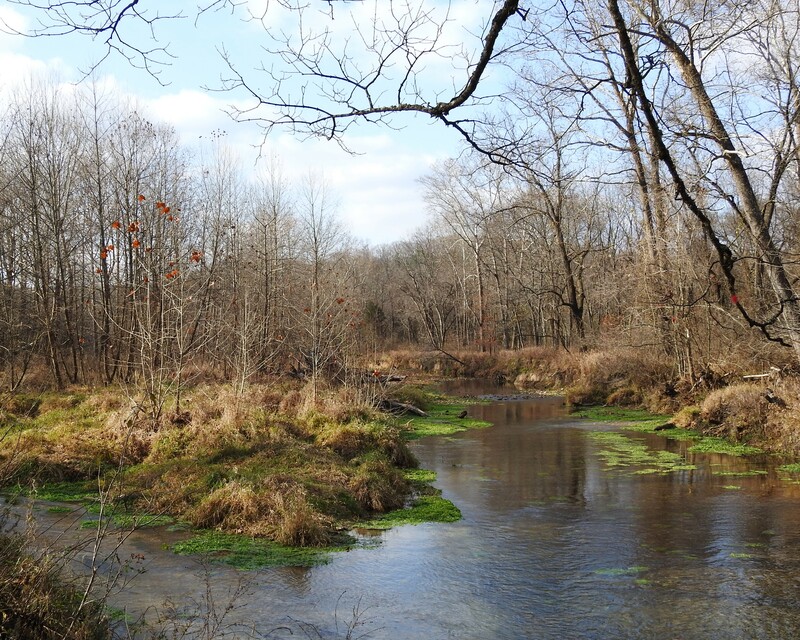 We have also visited Shaw Nature Reserve just west of St. Louis several times in the last couple weeks. 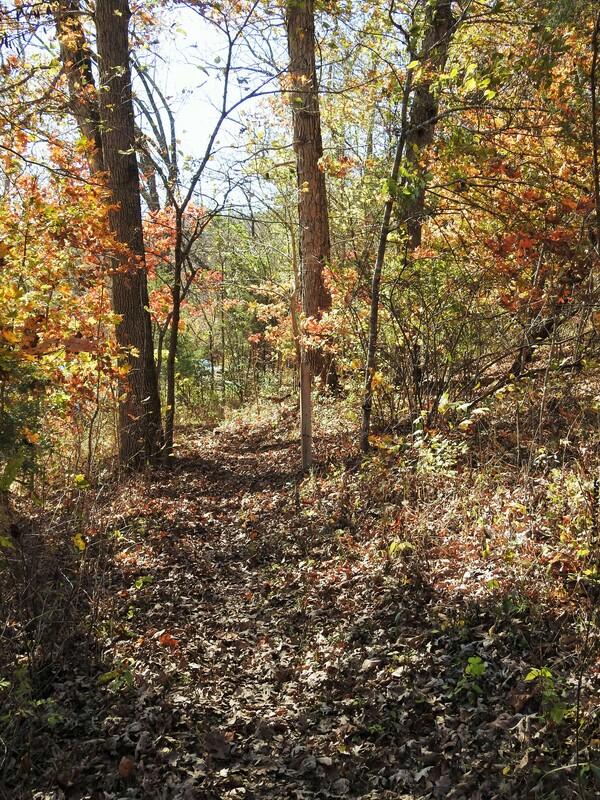 The trails there are varied in length and habitat type, as well as well maintained. 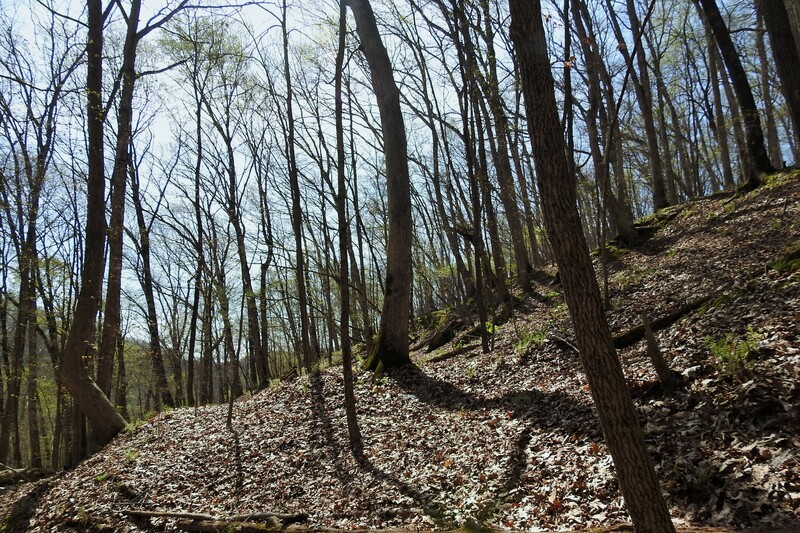 One of my favorite trails is the Wildflower Trail, a woodland with a section of rocky outcroppings. 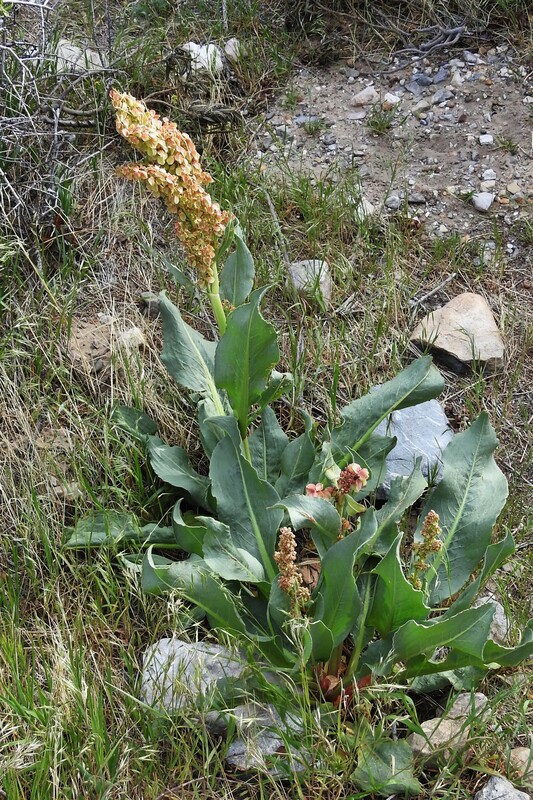 It is the rocky outcropping that I most love, as that is where I find the most wildflowers of spring. But the first thing you notice at Shaw in the Spring are the massive clusters of daffodils throughout the reserve. The daffodils bring in visitors from all around, and they never disappoint. Chickweed…I know it is a weed, but I love it anyway. Toothwort…not a complimentary name for just a beautiful little flower, but it is named for its toothy-like leaves. Common Violet, though it is anything but common! 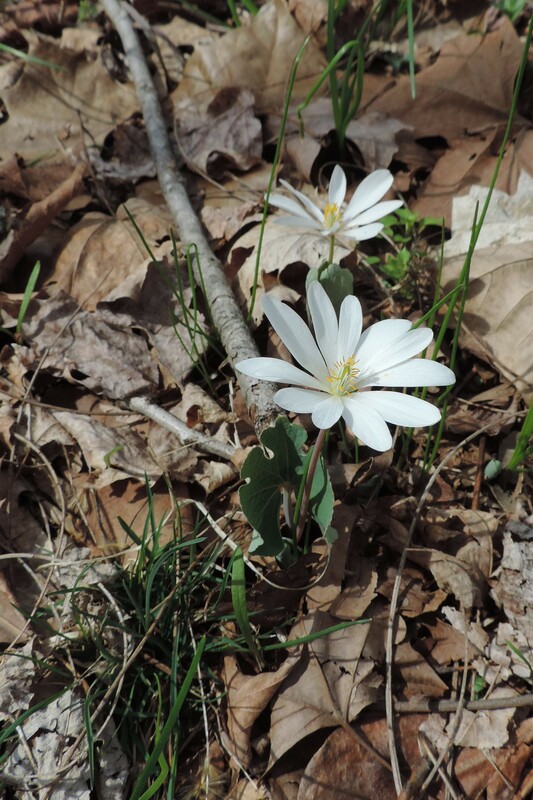 One of my favorites…blood root. 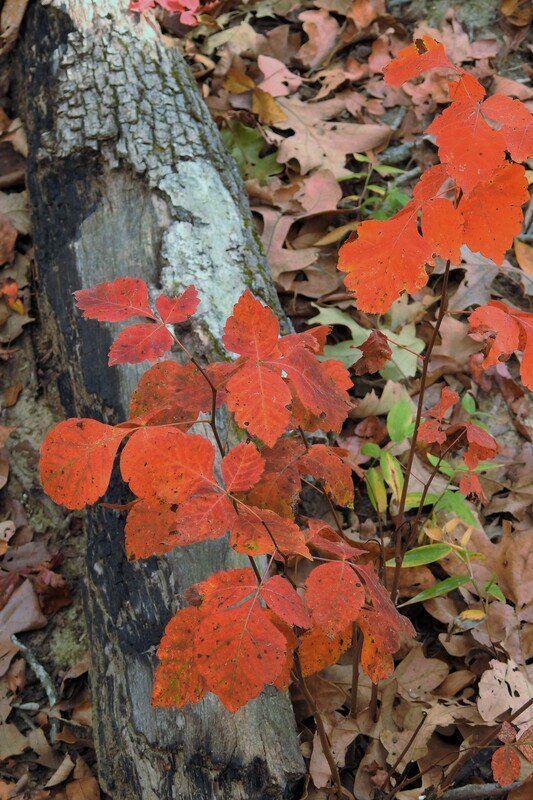 It is so named because Native Americans used the roots of the plant to make a beautiful “blood” red dye. I love the rocky bluffs! a land snail I barely missed stepping on! Yes, I missed my trip, but my goodness, I have had no time to pout…there is just too much to see out there. You just have to go out there and look for it! Sometimes, after returning from a day outside exploring, we just want something for dinner that is easy and quick, but still really good. One of my favorites is this pasta dish I make with Missouri grown walnuts we get in the fall and freeze to use all year. I originally found the recipe in an article by Mark Bittman in the New York Times, and have adapted it to our liking over time. While the water comes to boiling, combine the parsley and garlic in a small food processor. Add the oil and process until you have a nice mixture. Stir in the walnut pieces, and season the with salt and pepper. Set aside. Cook the pasta to desired tenderness. Toss the pasta with the sauce. One of my favorite activities when I travel is to discover the culture and traditions of that special spot on the globe on which I find myself, a corner of the world that belongs to those people calling that special spot “home”. Hawaii has a unique culture and an abundance of unique traditions. For me, coming from the U.S. mainland, it was a very exciting and interesting corner of the world, and in many ways so different from my own. Hawaii is part of a group of islands in the Pacific Ocean called Polynesia. Polynesia is an area bounded in a triangle with the points of the triangle being Hawaii, Easter Island, and New Zealand (Aotearoa). Within that triangle are many islands including Samoa, Tahiti, Tonga, the Marquesas Islands, and Fiji whose people share a common language, customs and traditions. To get a better understanding of traditional life in Polynesia, we visited the Polynesian Cultural Center. 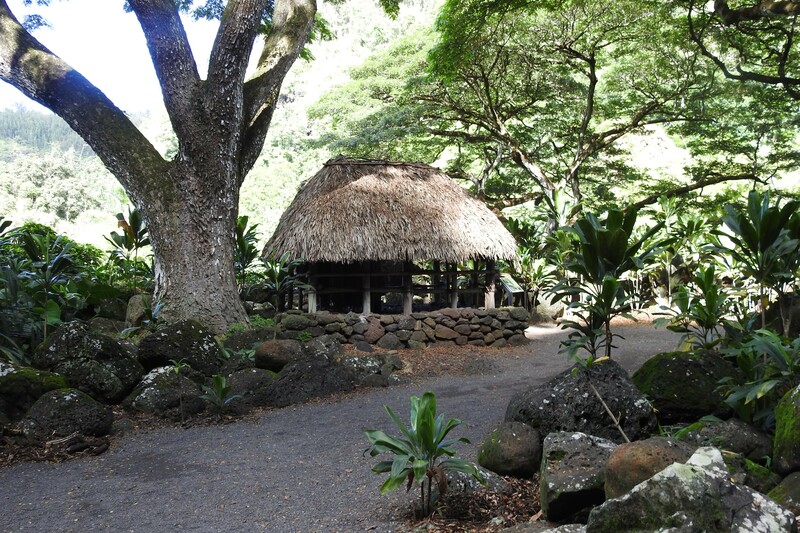 The center highlights historic traditions and customs of the islands with shows, village recreations, and interactive activities for visitors. It was informative and a lot of fun as these two old people tried to master some of the old-time games. Once inside the venue you will travel from island to island, learning about individual islands and activities common in Polynesia. I have put together a gallery of pictures showing some of what we saw and learned. 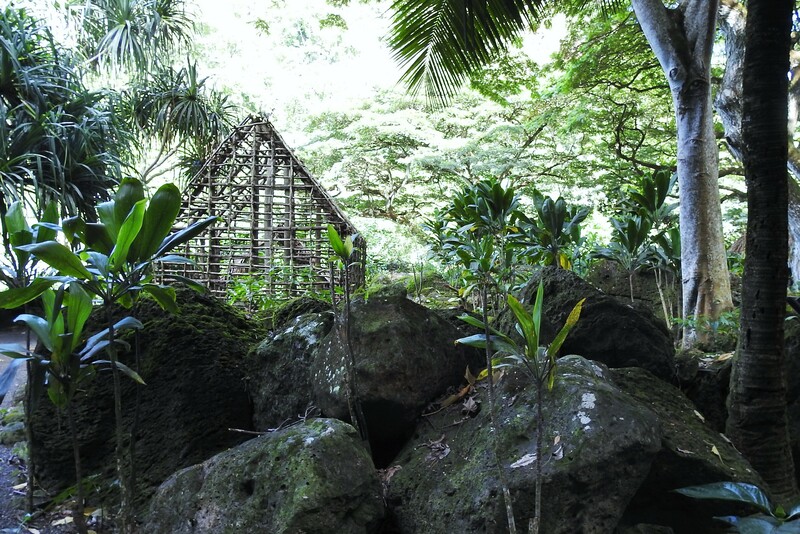 Buildings in Polynesia were made of grasses and used no nails…they were beautiful! We were amazed as this Islander shimmied up a 40 coconut palm in his bare feet! This six story temple was unique, and we were welcomed inside to view what the living space for the residents would look like. Music in Polynesia is that typical sound you think of when you think of Hawaiian music. The islanders have many ways of producing the sounds, blowing into conch shells, beating drums, even making music with a nose flute. The highlight of the center is the canoe pageant portraying the history of the Polynesian islands according to custom and their belief system. One of my favorite tours was at Iolani Palace. Before becoming a state within the United States, Hawaii, for a short time, lived in a democratic monarchy. King Kamehameha V was the last descendant of the Kamehameha monarchy to reign as king of the Hawaiian Islands. Then in 1874 the Hawaiian legislature elected David Kalakaua to the throne. He built this beautiful palace which was completed in 1882. Upon the king’s death in 1891, his sister, Lili’uokalani, became the queen and took up residence in the palace. Queen Lili’uokalani’s reign was a troubled time for Hawaii. Businessmen from the United States had complete control of both the sugar and pineapple industries on the islands. They also exerted much influence in the everyday lives of the people, and they favored annexing Hawaii as a territory of the United States. The Hawaiian people, however, were quite happy being Hawaiian and independent. What happened next was not America’s best hour, or at least I do not believe it was. Lili’uokalani attempted to have a new constitution written, fully restoring all power to the monarchy, which would in turn diminish the power of the outside interests. This led the business leaders to push for quick annexation. When the government of the United States refused to annex the islands, the American businessmen staged a takeover, and in January of 1893, the queen abdicated her throne. For the next nine months she lived in the palace under house arrest. Eventually the Hawaiian Islands became a territory of the United States, and in 1958, Hawaii was granted statehood. Tableware for dining at the palace. Queen Lili’uokalani loved music and wrote many musical pieces. She wrote the famous Hawaiian song,”Aloha Oe” in this music room in the palace. Several of the Queen’s gowns are on display in various rooms of the palace. If you visit Hawaii, you have got to attend a luau. They are so much fun, and the food is absolutely incredible. We attended two luaus. Our favorite was the Chief’s Luau. It was a bit smaller, more intimate and more comfortable than the almost as good luau at the Polynesian Cultural Center. Hawaiian culture is centered on the importance of family, and everyone is part of the family. This family attitude was displayed by the Chief at his luau, inviting us all to have a good time, make new friends and eat all we want. Everyone sits at long tables, and you cannot help but to meet your neighbors. Our neighbors were from Australia, which made for a great sharing of experiences during dinner. The star of the show is, of course, the luau pork. I would try, but know I would never be able to duplicate that flavor here in mid-Missouri. There is so much food, it is hard to choose which ones to take…so I took a little of a lot of different things! Following the meal is the time for entertainment. We were treated to Hawaiian music, singing, dancing, and Jim’s favorite, flame throwing and twirling. But the best part was when they called to the stage all those celebrating anniversaries. Well, that was us…50 years! I received a gorgeous bouquet of Hawaiian flowers and we both were given authentic leis made of traditional Hawaiian flowers Our new Australian friends tried to take a couple pictures for us from a distance…that picture of us dancing, though mighty grainy?…well, I love it! While in Hawaii I purchased a cookbook…of course. The luau dish I made is really very delicious, though not as amazing looking as some others. My test is: Does Jim like? If the answer is yes, it must be good, because he is a very picky eater! The dish calls for luau leaves…they are not even sold at Whole Foods on the mainland…so substitute with spinach. When you try this dish, and you should, make sure to use the most mature spinach you can find. More mature spinach gives the dish a better consistency and a better flavor. Enjoy! Heat oil and saute onions in a large sauce pan until they are translucent. Add beef stock, water, and 1 Tbsp. salt. Cook until meat is fork tender. While the meat is cooking, wash the spinach leaves and remove the toughest stems and veins. Bring the water, the remaining Tbsp. of salt, and the baking soda to a boil in a large stock pot. Add the spinach leaves, reduce heat and cook, partially covered for 1 hour. Drain and squeeze the excess water from the spinach. When the meat is tender, add the spinach leaves and simmer for 30 minutes. 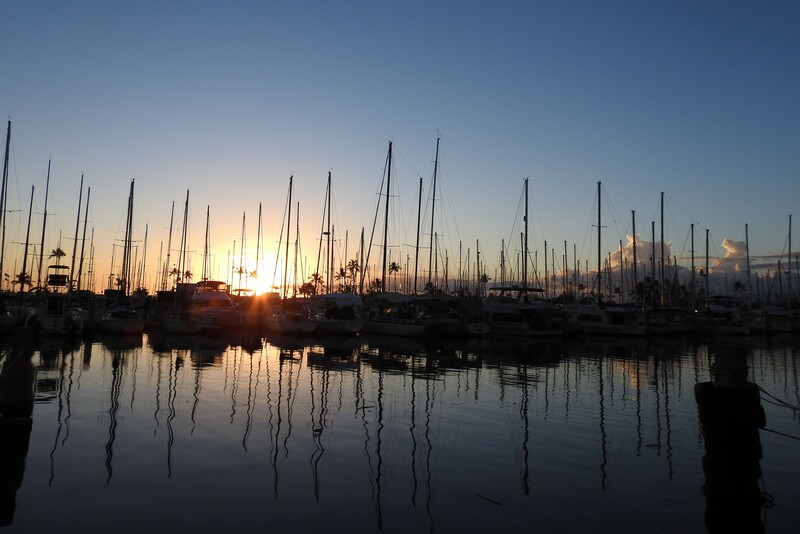 Oahu Splendor-Part II…Pearl Harbor and a Spam fried rice? One of our must see sites when we visited Hawaii was Pearl Harbor and its National Historic Sites. We happened to be at Pearl Harbor on Veteran’s Day, November 11. Since my Dad was a Navy Seabee, this made our visit all the more meaningful for me. Within the memorial area is a statue of a Navy sailor. He reminded me of all the pictures I have seen of my Dad dressed in his “Navy Blues”, which he was so proud to wear on the day he married my Mom. Near the statue is a plaque which brought a tear to my eye as it reminded me of all the stories Dad used to tell about his service in World War II. It truly does remind me of the “sailor” I called Dad. The Lone Sailor represents the men and women who have served, are serving, or will serve in the Navy. He’s called the Lone sailor, yet he is hardly ever alone. He is about 25 years old, a senior second class petty officer who is fast becoming a seagoing veteran. He has done it all–fired weapons in war, provided humanitarian assistance in far-away lands, been attacked by the enemy and defended our freedom. He has made liberty calls in great cities and tiny villages where he was a tourist, ambassador, adventurer, friend, missionary to those less fortunate, and representative of our way of life. His shipmates remember him with pride and look up to him with respect. Pearl Harbor is a well protected lagoon harbor on the southern side of the island of Oahu. On December 7, 1941 its name and the significance of what happened there became forever recognizable to all Americans. On that day the Japanese Navy Air Service carried out a surprise attack on the United States Naval Station at Pearl Harbor. At the time, President Roosevelt called it, “the date that will live in infamy”, and the United States joined its allies in the Second World War. The World War II Valor in the Pacific National Monument is that place where Americans honor the men and women who were killed on that horrific day. 2,335 servicemen were killed, 1,177 of them from the USS Arizona. 1,143 people were wounded, and 68 civilians were killed. The USS Arizona Memorial was constructed over the ruins of the ship, which lies 40 feet below the water’s surface. Of the 1,177 servicemen who died on the Arizona, 900 were never recovered and are buried forever with the ship. A tour boat takes visitors out to the memorial where the ruined hulk of the ship can be seen below the surface. No one is allowed on the memorial at this time due to structural problems still being addressed. While at Pearl Harbor we also visited the USS Missouri Memorial. It was on the Missouri that the Japanese signed a declaration of surrender on September 2, 1945. As a side note, this memorial truly captured my husband’s attention since that day just so happens to also be the very day on which he was born. A photo taken on board the USS Arizona as Japan prepared to sign the declaration of surrender documents. Our last major stop was to tour the USS Bowfin, a submarine nicknamed the “Pearl Harbor Avenger”. Her “silent service” in the Pacific was responsible for the destruction of thirty-four large enemy ships and ten smaller ones.Her efforts truly helped win the war in the Pacific, as well as helping to bring World War II to an end. Here are some of the pictures I took inside the USS Bowfin. You never know what “close quarters” feel like until you walk around inside those quarters. Nor do I believe walking around the sub for half an hour gave me any realistic feeling of what that space would feel like after the normal “patrol”, which lasted six months out to sea. The widest space on the sub! and climbing to another area. Pearl Harbor is a testament to the tragedy of suffering and death caused by war. But it is also an amazing testament to the valor that comes from fighting those battles that can help make the world right again. It is a place forever seared into our American story, and the importance of this nation on the world stage. No one can come away from this place without a determination to look to leaders who believe in peace, who stress the dignity of all people in all nations, and who insist on promoting the idea of a world that seeks a tomorrow without war. Oahu is one of the islands that make up the state of Hawaii. 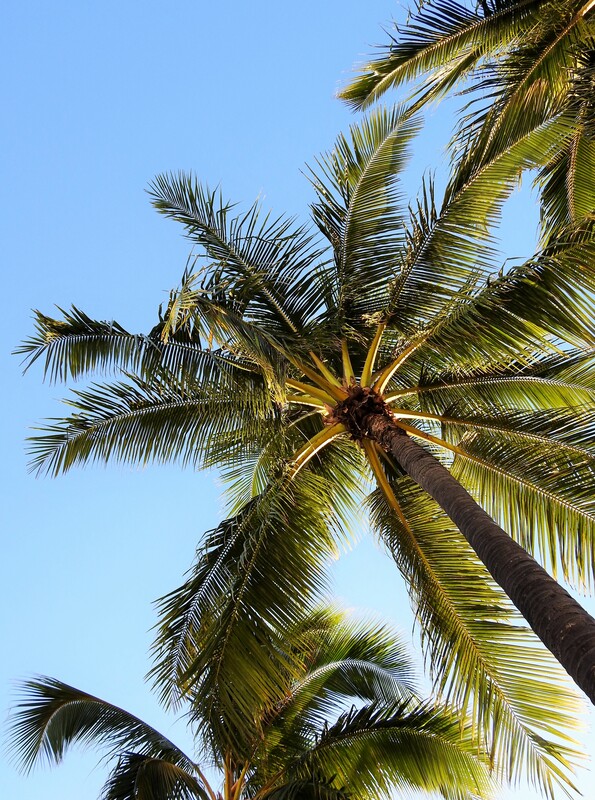 As we toured the island we learned many things about the special advantages of living on an island in the middle of the Pacific Ocean. We also learned of some of the challenges. Everything that Hawaii cannot produce for itself must be shipped or flown in from a very far distance. For that reason the state has a set schedule of resupply. In this way the government can assure its citizens of about a three week supply of necessary items for survival in the event a catastrophe were to occur that would make it difficult for the outside world to reach the island population. One of the items they always have in stock is Spam, and Hawaiians love Spam. There is even a Spam menu item at McDonald’s! I was raised in a lower middle class family with my sister and two brothers, and we ate a lot of Spam. Mom fried it for supper, packed it in our lunches, and cut it into small bits to add to our scrambled eggs in the morning. The idea that anyone would love Spam was a great shock to me! But I have to say, the people in Hawaii do some exciting things with this lowly meat, and Spam is a commodity that can be held in storage for a very long time. When we returned home, I toyed around with several different recipes to prepare a proper Spam dish reminiscent of the foods I had on the island. I found several recipes, and put a couple of them together to make one we enjoyed. I must say that while the Sriracha is optional, it really adds to the dish, helping take away some of the very salty flavor of the Spam. Brown the Spam in the vegetable oil. Add the onions and the carrots and continue browning for 2 minutes. Add the peas, and cook another 5 minutes. Serve in bowls with a garnish of green onions and sriracha. The number one item on our Bucket List has always been to visit each and every one of the fifty American states. And now, after fifty years, we can officially check that one as done. We visited Hawaii in November, having a great time and learning, once again, so very much about the world in which we live. I say we visited Hawaii, yet we actually visited only one of the five islands that make up the state of Hawaii. The island of Oahu afforded us some fantastic and breathtaking sites, along with incredible new food experiences. Our first view of Oahu came as we circled around to land at the airport in Honolulu. That is Diamond Head at the top of the picture. Diamond Head, called Le’ahi in early Hawaii, is a tuff cone from a volcano that erupted some 100,000 years ago. 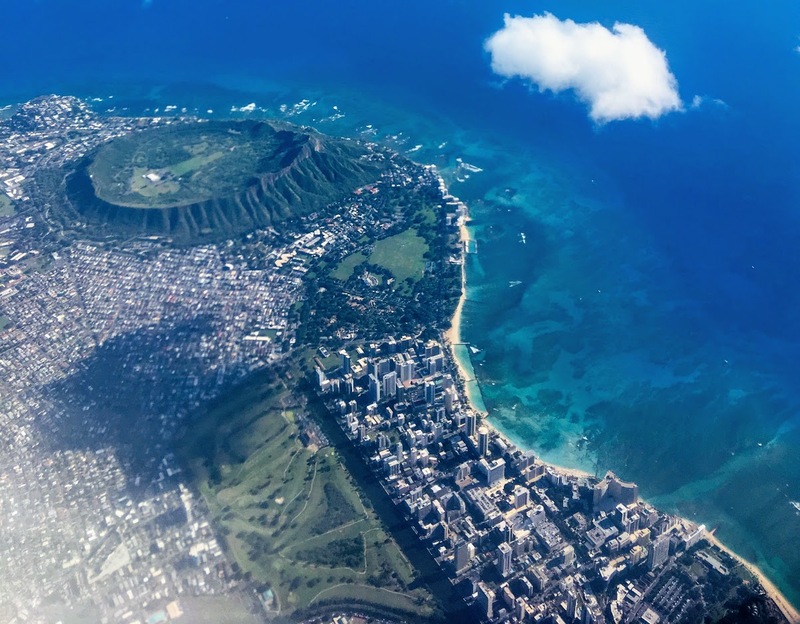 The volcano that formed Diamond Head is no longer active. Its tuff cone was formed as cinder and ash accumulated following the volcanic eruption. 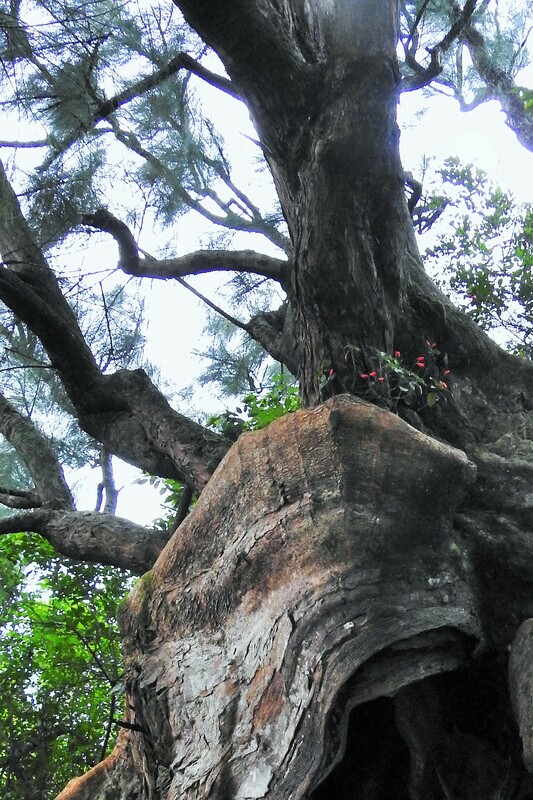 No matter what formed it, I found it a spectacular site. Also amazing was having the ability to “look” beneath the surface, into the shallow edge of the Pacific Ocean. But if you look out to that very deep blue color…that color is what informs you that the ocean is not shallow very far out, as it drops off very quickly to enormous depths. 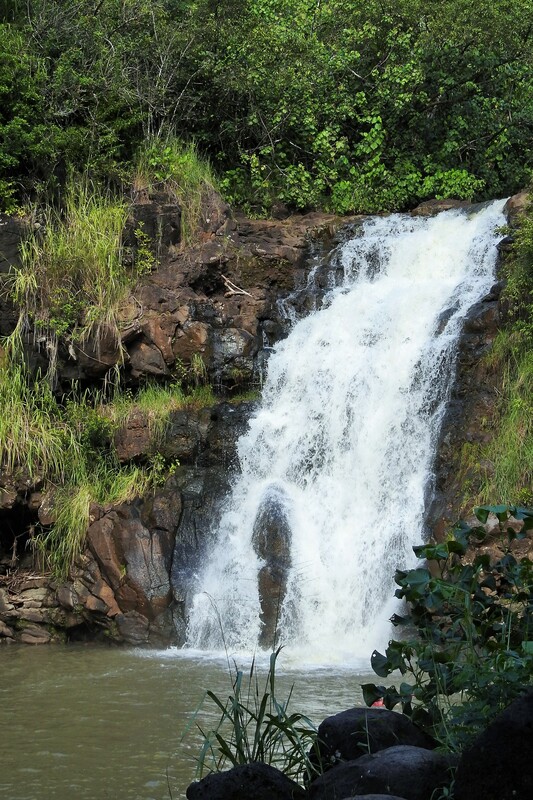 One of the places we visited was the Waimea Falls Park. 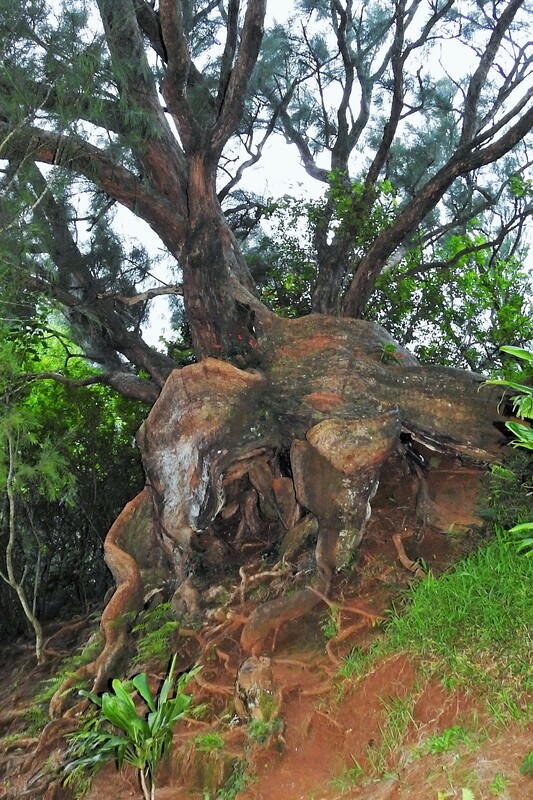 It is on the north side of the island and has a trail through a tropical forest to Waimea Waterfall. 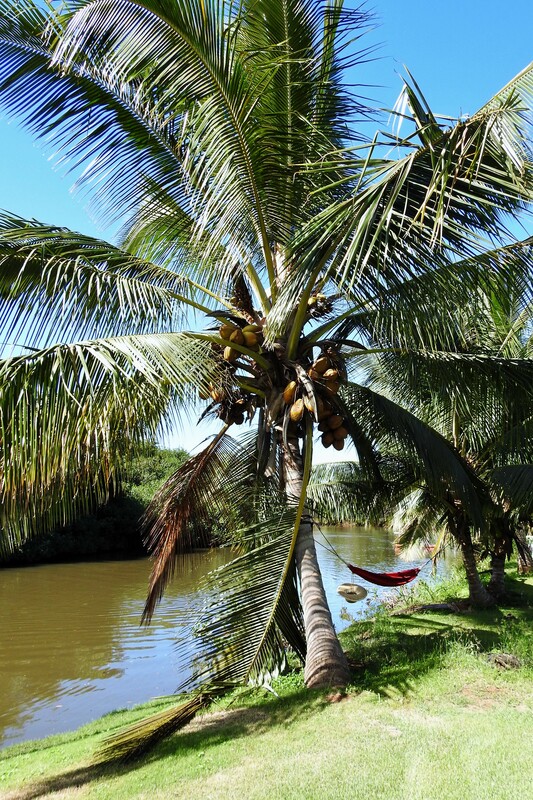 Beautiful tropical spots to stop and rest. and whatever in the world this is! Along the trail you can stop at a reconstruction of a historical Hawaiian village including signage which helps explain the lives of the people who lived on the islands many, many years ago. What I liked best about my trip to Hawaii was the clouds. The clouds on the island were, for me, mesmerizing. I could not take my eyes off of them, and I will never forget them. 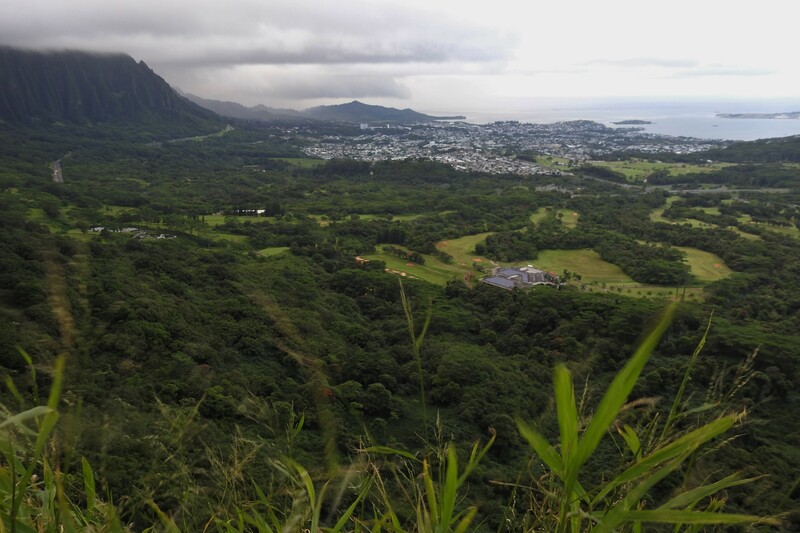 As they form and move across the island, they run into the two ranges of mountains on Oahu. 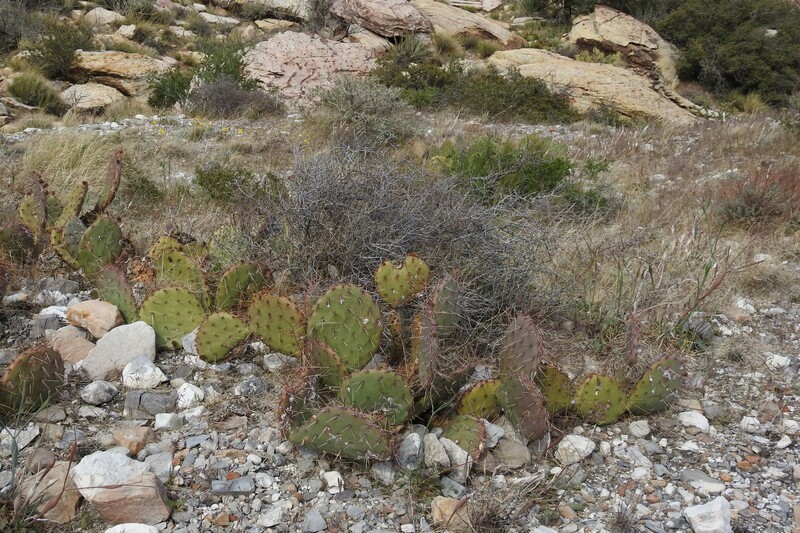 They are unable to climb over the mountains, and so they lay on them, slowly dropping their moisture as gentle rains. I tried all the time we were there, and was never able to get a picture to convey what I actually saw as I looked at the magnificent clouds every morning, every evening, and throughout most of the day. Shampoo ginger…its slimy juice was once used by Hawaiians as shampoo and to quench their thirst. Beach naupaka which appear as half flowers. 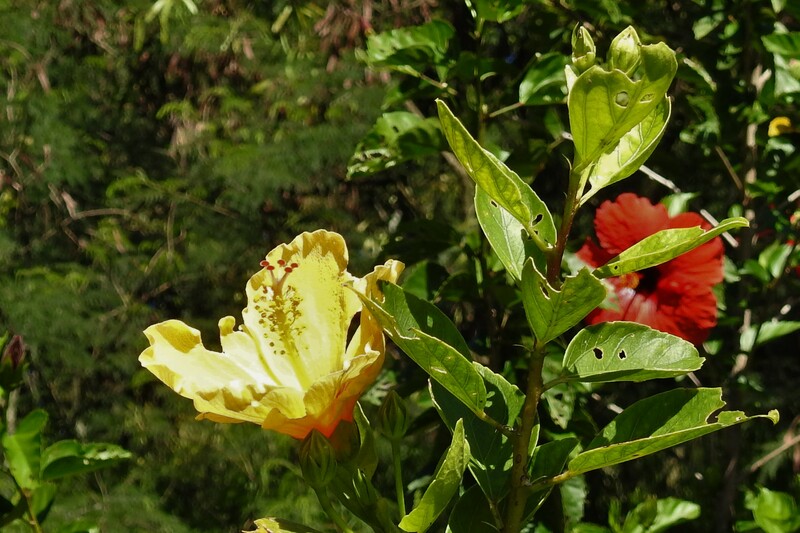 One flower is very important to the people of the Hawaiian Islands…the Hibiscus. Hibiscus “breeders” have hybridized the plant to many different varieties. You will find them everywhere, and they are beautiful. 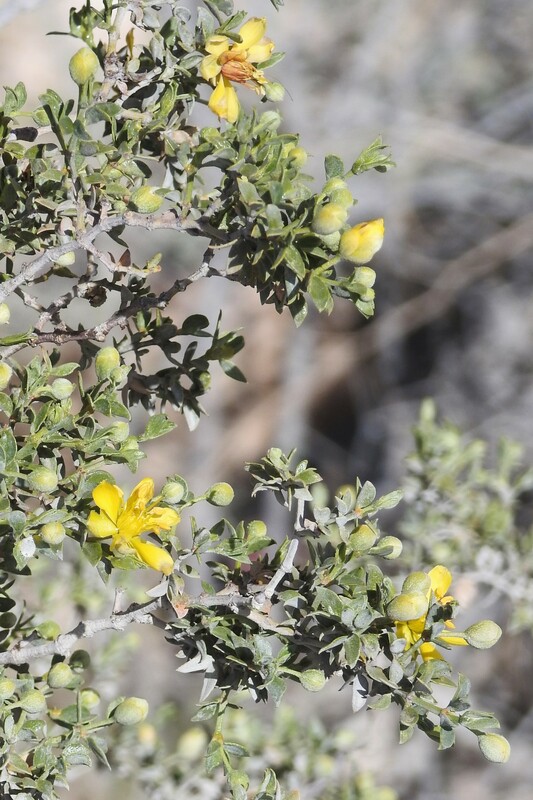 The Yellow hibiscus is the state flower. We stopped at an overlook on the way back to town one night. While the view was gorgeous, I most enjoyed the tree we saw climbing up to the overlook. I have no idea what kind of tree it is, but the trunk was amazing. I also like the way the flower has found a home in the crook of the trunk. And two more pictures…just because I cannot resist sharing them! Hawaii is an amazing place. 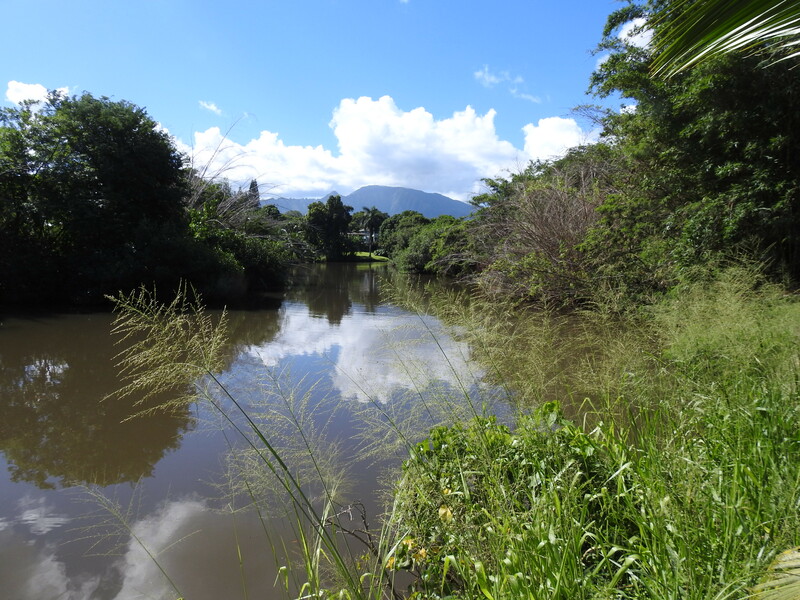 If you find yourself on Oahu, make sure you get out of Honolulu, off the beach at Waikiki, and into the countryside, into the real Hawaii. We want to go back someday to see the big island of Hawaii, to visit the big volcanoes, some of which are still active. 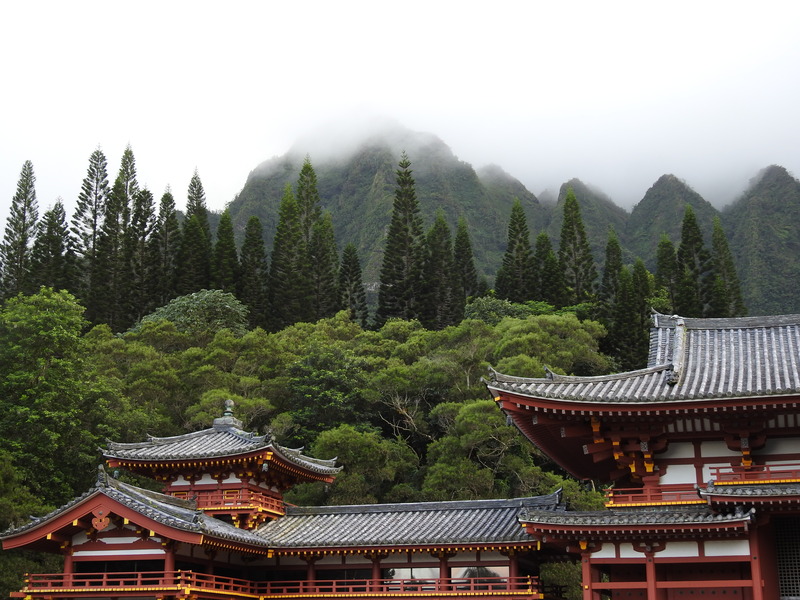 In my next post I will share the historical and cultural places we visited while on the island of Oahu. On these really cold days of December, here in the middle of America, I can’t help but remember how warm it was on the island of Oahu, in the middle of the Pacific Ocean, in the middle of November. While we were on Oahu we attended two luaus. They are so much fun and the food is simply fantastic. The teriyaki chicken was our favorite dish at the first luau The natural setting for the luau was smaller and more intimate. It was our favorite of the two luaus we enjoyed. We were brought to the stage with other couples celebrating anniversaries, and as this was our fiftieth anniversary, we both received authentic flower leis, and I got a beautiful bouquet of flowers. A gentleman sitting with us took our picture…kind of grainy, but I love it anyway. What a special evening! A taste of Oahu at home in the contiguous 48. Preheat oven to 450 degrees, Place chicken thighs in a greased baking dish in a single layer. Combine 1 cup of soy sauce, the water, rice vinegar, ginger, sugar, crushed red pepper flakes, and garlic in a saucepan. Bring this mixture to a boil. When the sauce begins to boil, mix the remaining 1/3 cup of soy sauce with the corn starch until it is dissolved and add this mixture to the boiling sauce. Cook and stir to thicken for 1-2 minutes. Pour half the sauce over the chicken, turning to make sure the thighs are covered with sauce. Cover the baking dish with foil and bake for about 20-25 minutes. Check to make sue the chicken is 165 degrees at it thickest point. Carefully remove thighs to a cutting board and cut if you would like. 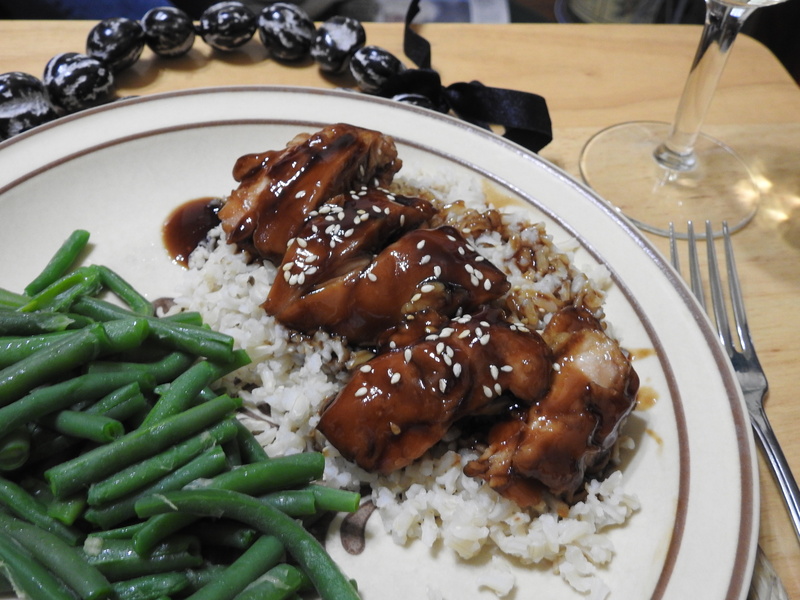 Serve on a plate with the remaining sauce and extra sesame seeds for garnish. We live in a world that at times seems turned upside down. Often I feel a need to make sure I am standing, and thinking, right-side up. So I go outside, I go into nature, I go where it is quiet, taking with me only those people I want to have close, and who want to be close to me. Within an hour’s drive of our home in mid-Missouri is Montauk State Park. 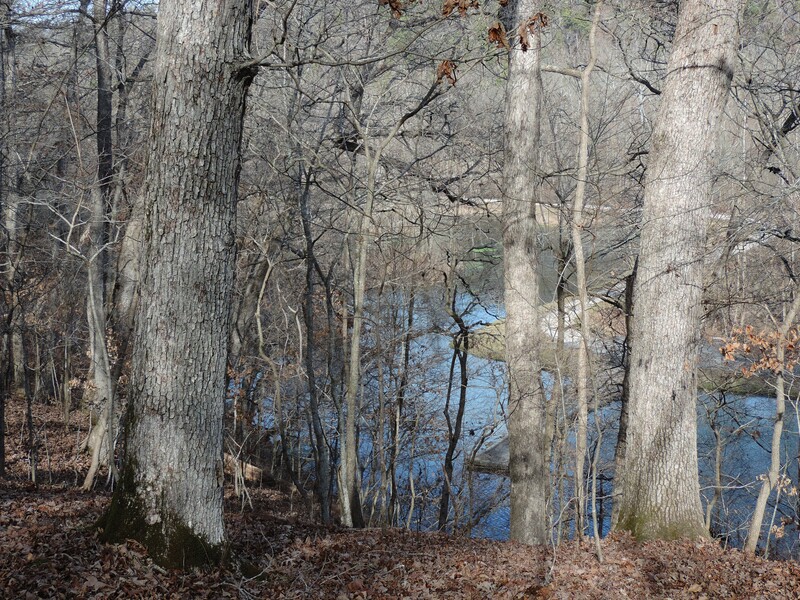 It is far from any big city, it reaches into the edge of the Ozarks, and I love the place. I love Montauk in any season, at any time of day, and in any kind of weather. 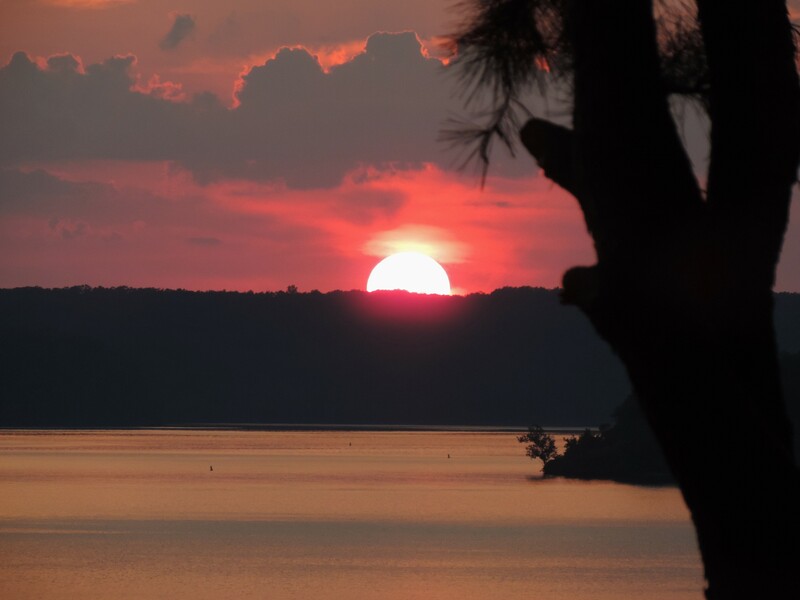 Missouri’s state parks are incredible, and they have free admission whether you are a citizen of Missouri or you come from any other place in the world. 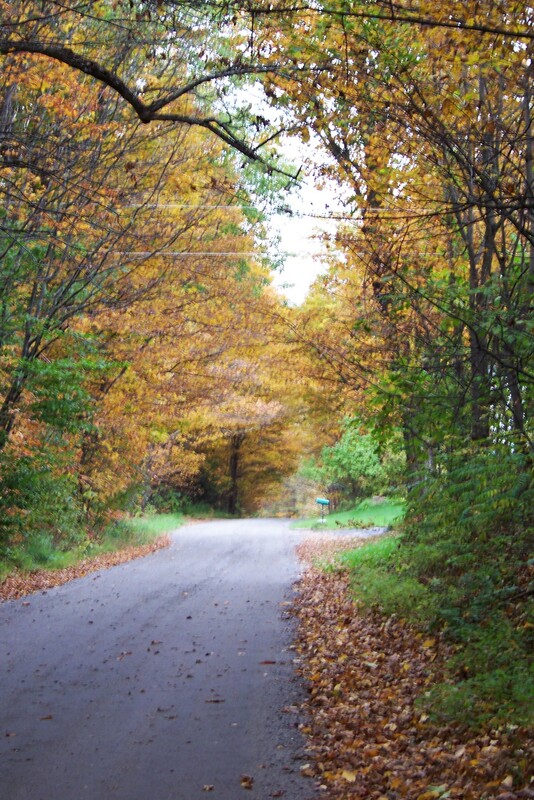 Montauk is the park closest to me…so, it is my personal favorite. and this heron seeing what he can see! This cardinal is bundled up for the cold as he puffs his feathers our as fat as he can. And on one really hot day, this turtle was trying as hard as he could to stay cool. Came upon this deer that was hiding in the understory. Saw this gorgeous wood duck one day in a side pool. and catching the last blossoms of autumn. 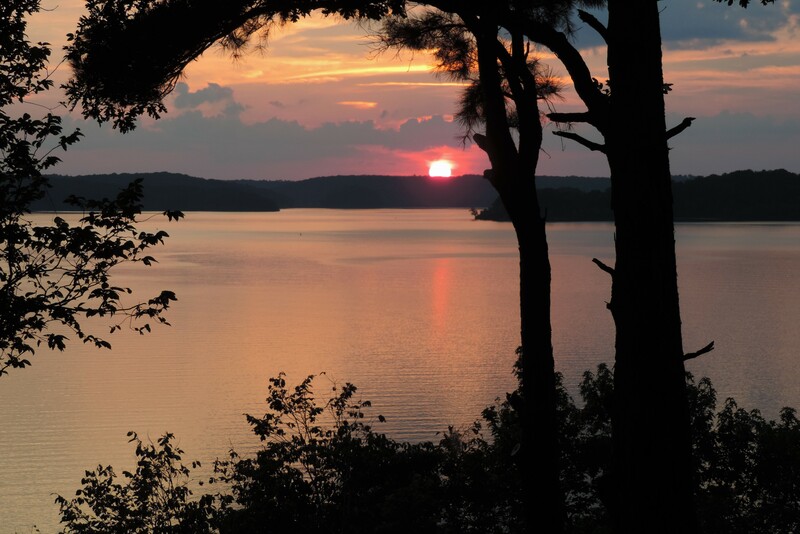 Our state parks will often have public programs. 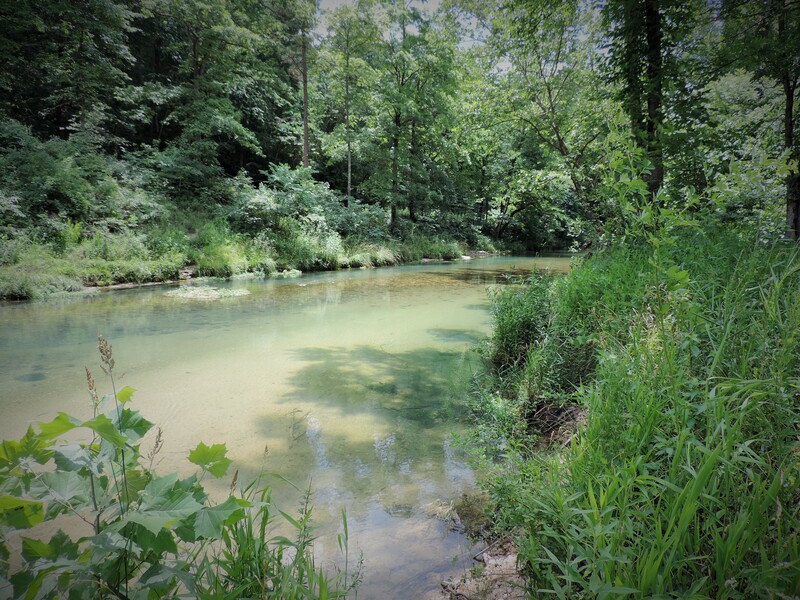 Montauk is one of Missouri’s trout fishing parks, and many activities and programs based on fishing are offered at the park. But they have many other programs, including hikes, night sky viewing, and children’s programs. Montauk was, at one time, a small village on the Current River, and near several springs. 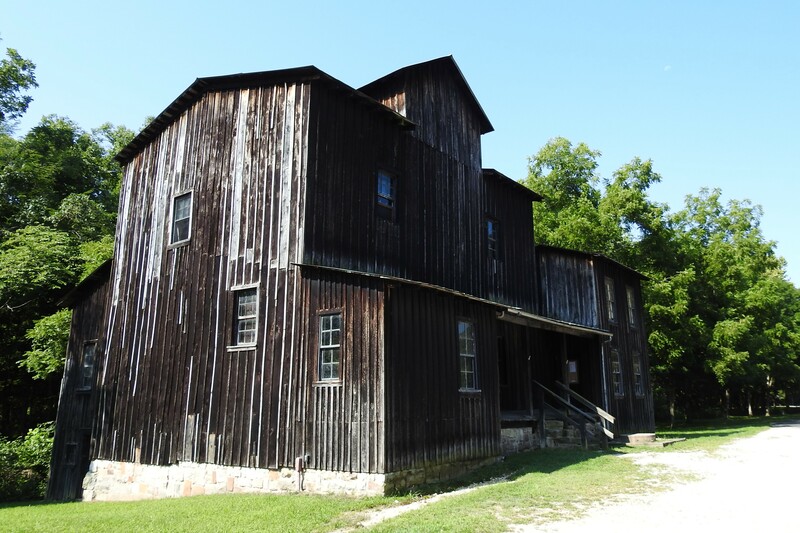 It was the perfect place for a mill to service people in the area. 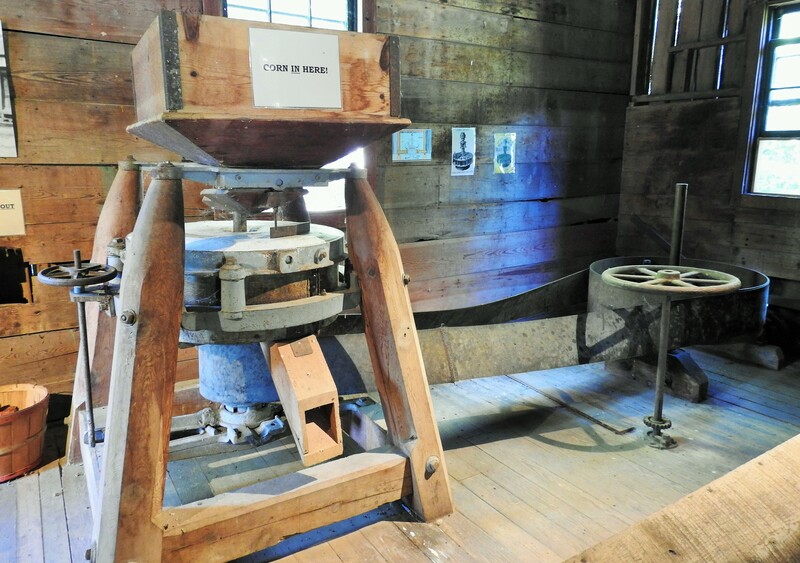 The last mill built at Montauk was constructed in 1896, and still stands on the property today. Several times each year, the park gives tours of the mill. A most exciting project has begun that will make these visits to the mill even more fun. The original equipment is being restored, and in not such a very long time, Montauk will once again be milling grain to be sold on site. I can’t wait! If ever you find yourself in mid-Missouri I strongly suggest visiting Montauk State Park. 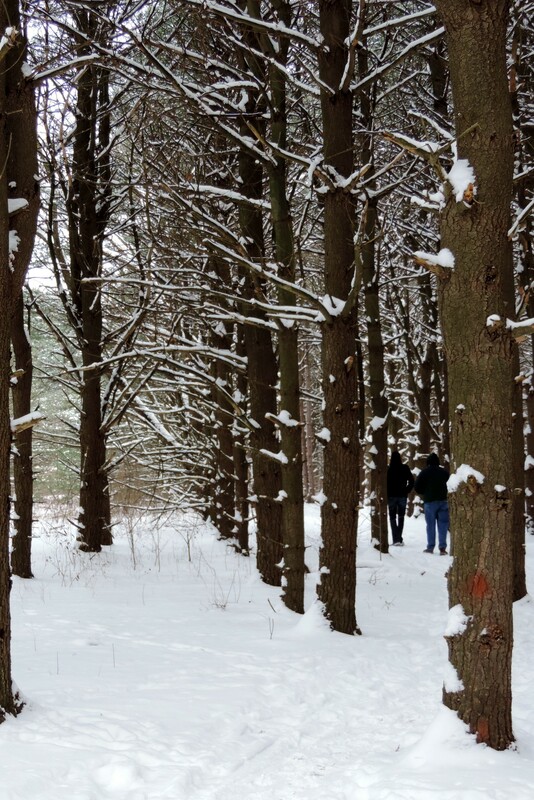 But if you never get to my part of the woods, state parks are all across our land. No matter where we wander, where we roam, where we travel…countries across the globe have established parks for people; parks to explore, parks in which to learn about this amazing world…parks to cherish. So, go on, go find a park…relax, take a deep breath, I promise the world will look better, and you will feel better too! This is the very easiest way to make the very best tasting fish. 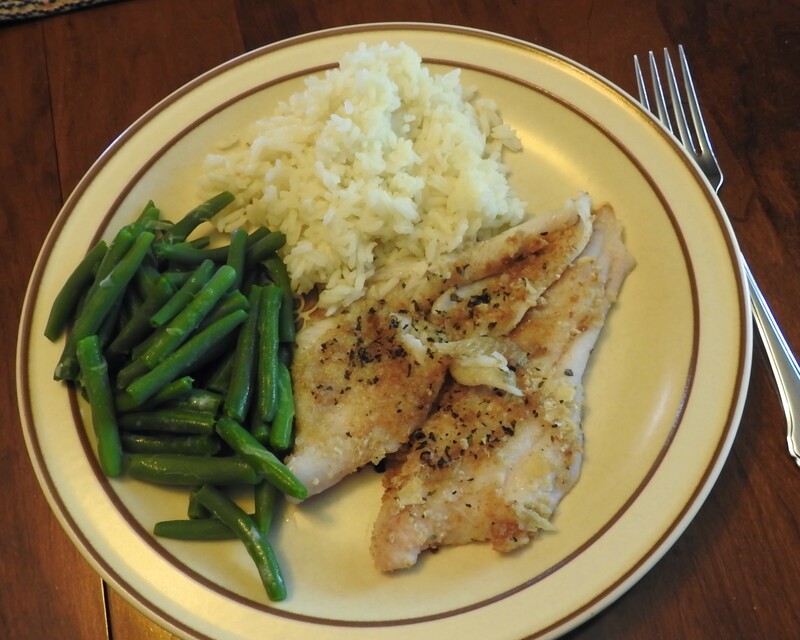 It is so simple and uncomplicated, making sure that the fish is the star of the show. Whether you catch your own fish in a stream near you, or buy sustainably caught fish at the market, you will love this recipe. Place a cast iron grill pan under the broiler for 15 to 20 minutes, until it is sizzling hot. There is nothing better than the sound of the sizzle you will hear when you lay the fish on that hot pan! While the grill pan heat under the broiler…pat the fish dry. Liberally lay bread crumbs on each piece of fish to cover. Season with salt, pepper, and herbs of your choice. Drizzle melted butter over the fish and place on the sizzling grill. Is that sound amazing or what! Grill 3 to 4 minutes til fish is done. 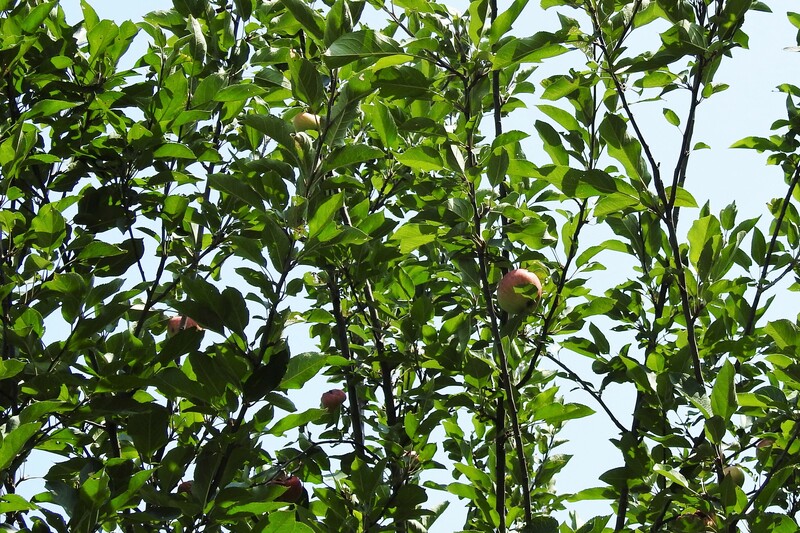 Until three year ago when, finally we found apples developing on the original tree. 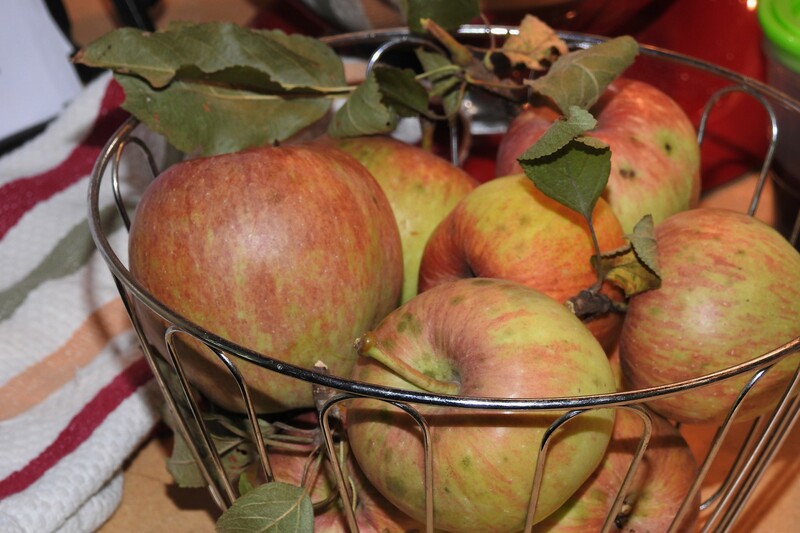 We were so excited, and could hardly wait to eat the very first apples from our own backyard. We left on vacation, and when we returned, every single one of those apples was gone…seriously, every single one. I blamed raccoons, squirrels, opossums, deer (remember, I live in the city), and even wondered if there were not some hungry teenagers lurking around in the dark enjoying our anticipated harvest while we were away. For two more years, we had the same result…even if we did not go out of town. and apples remained. I wanted so badly to pick those apples, but I waited. Finally, I went out and picked apples. I was willing to share…I brought some into the house, and left a large number, particularly those high up in the tree that I could not reach, for any creatures that had enjoyed our apples in the past. Now on to the second part of my story. Every couple of years, I get the urge to go through every item we own. I am supposed to be down-sizing when I do this, not sure how successful I am at that aspect of my sorting. As I was going through all the cookbooks I have purchased at different historical sites across the country and abroad, I came across a small book I purchased at one of the sites. 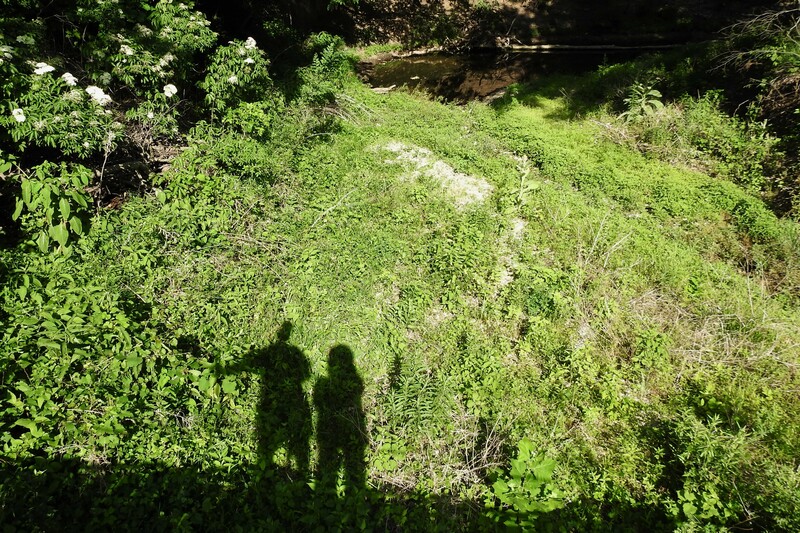 It brought back so many memories of trips we have taken with our children and our grandchildren. A spread of food items at Colonial Williamsburg. You can see our granddaughter eyeing them, wishing she might just have some. Ladies enjoying tea in the garden as they discuss the events of the day. One of the recipes in the book was for Apple Tansey. I thought how fun it would be to make something from the apples in our own yard, just as colonial Americans made dishes from the apples in their own yards. 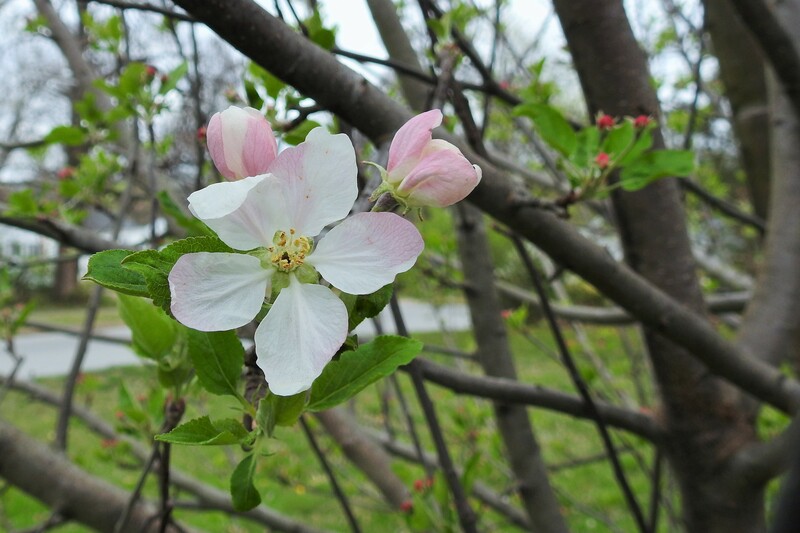 The Algonquin Indians introduced apples to European colonists living in Quebec. We are not sure about the variety of those first apples. 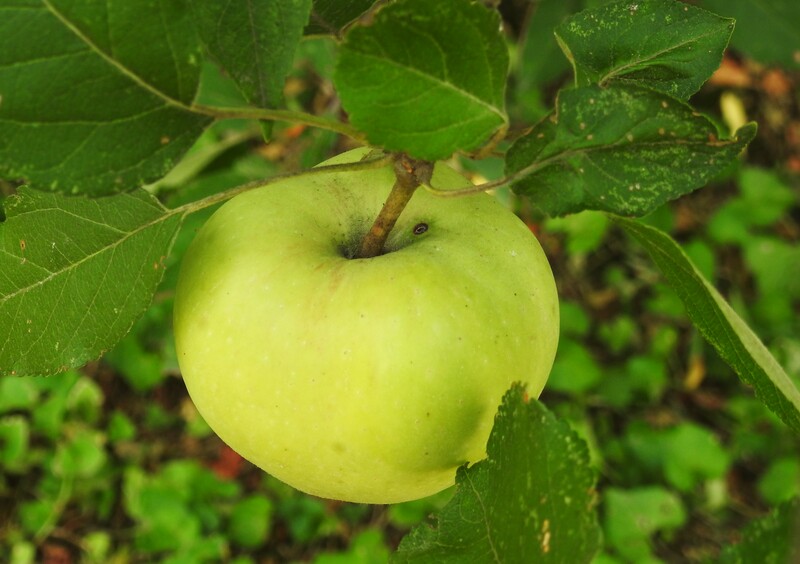 A pippin is a variety of apple that was cultivated in the American colonies, and still is today. It is apparently not the best eating apple, but makes very good apple cider. The recipe for Apple Tansey is written in paragraph form, so I have tried to put it in some kind of acceptable recipe format. I also determined some of the measurements myself, since some of the items were not written with regard to amount. 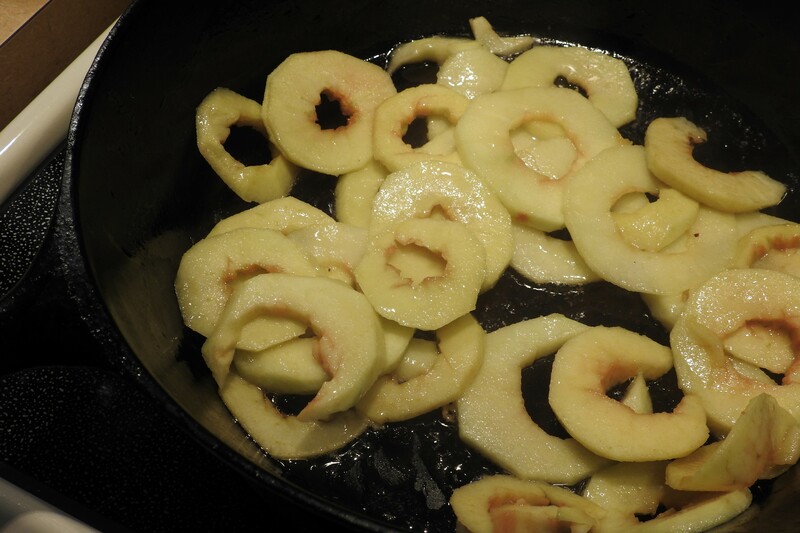 Fresh apples frying in butter in a cast iron frying pan. Not the prettiest presentation, but I put it on a fancy heritage plate…and Jim was dutifully impressed! All in all it was a great week…getting our own apples, sorting through the moments of our lives, enjoying an old fashioned dessert on an old fashioned plate, in our almost one hundred year old house. Life can be so much fun sometimes! 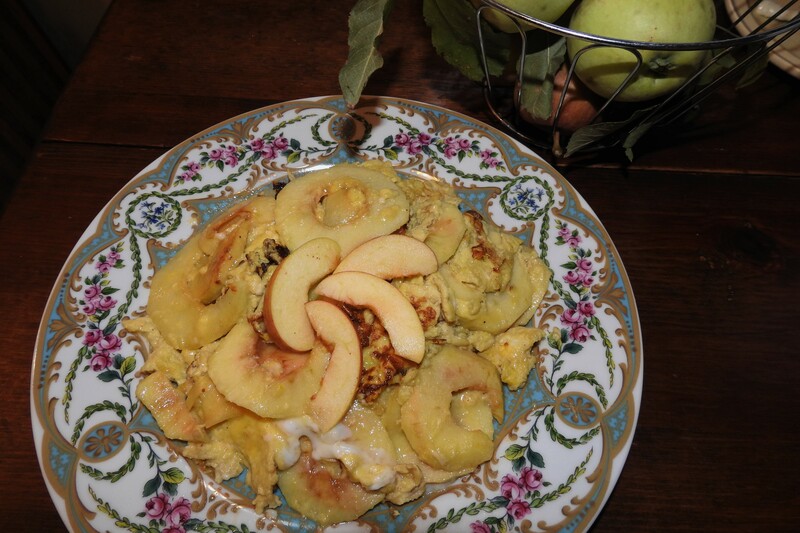 A great apple dessert or breakfast entree. This recipe is adapted from “Colonial Food”, by Ann Chandonnet. It was published in 2013 by Shire Publications in Great Britain. Core the apples, peel , and slice them round in thin slices. Melt the butter in a heavy skillet over medium high heat. Fry the apples in the melted butter until soft, but not browned. Mix together the 4 eggs, sugar, half and half, and nutmeg. Pour the egg mixture over the apples and let them fry until set, lowering the heat if you need to in order that it does not get too brown on the bottom.. Lift the sides of the eggs, allowing the uncooked portions to slide to the bottom and cook. Turn out onto a plate. Sprinkle with sugar and serve. Drizzle with maple syrup for an added treat! I live in the American Midwest. Many Americans call this “fly-over country”, and within that unseen part of the country is what is known as “drive right through it country.” If you are the type of traveler that sticks to the interstate highway, zooming through state after state, as quickly as you can in order to get to those famous mountains and ski resorts in the western United States…well yes, Kansas and Missouri, Illinois and Nebraska become “drive all night to get through them” states. And you would be missing so much of what is beautiful about this vast nation. This is America’s heartland, and the world’s breadbasket. 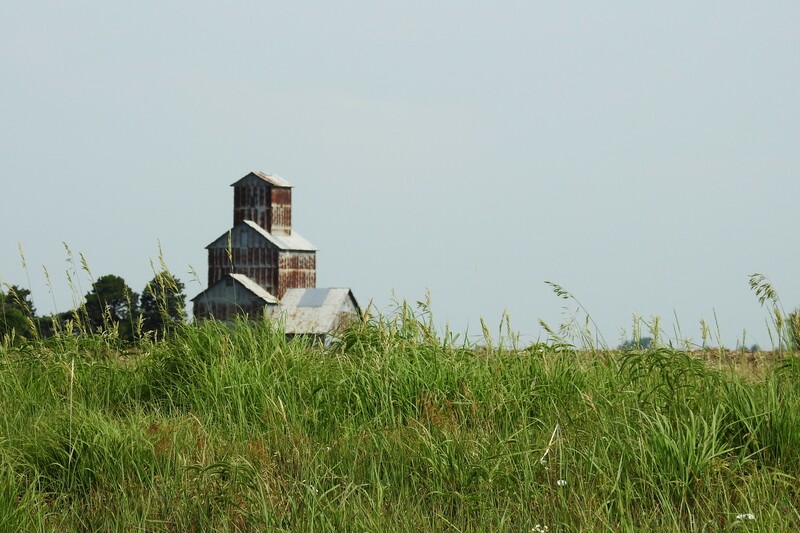 Once, this heartland was covered in acre upon acre of tallgrass prairie. 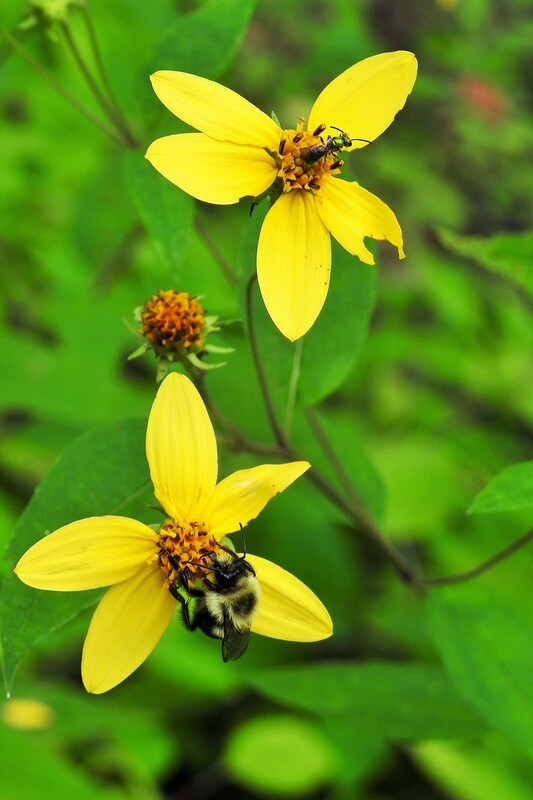 Today the National Park Service estimates there is less than 4% of the original prairie remaining. Other sources estimate a mere 1%, while some optimistic souls believe there may be as much as 18% remaining due to unknown patches here and there. 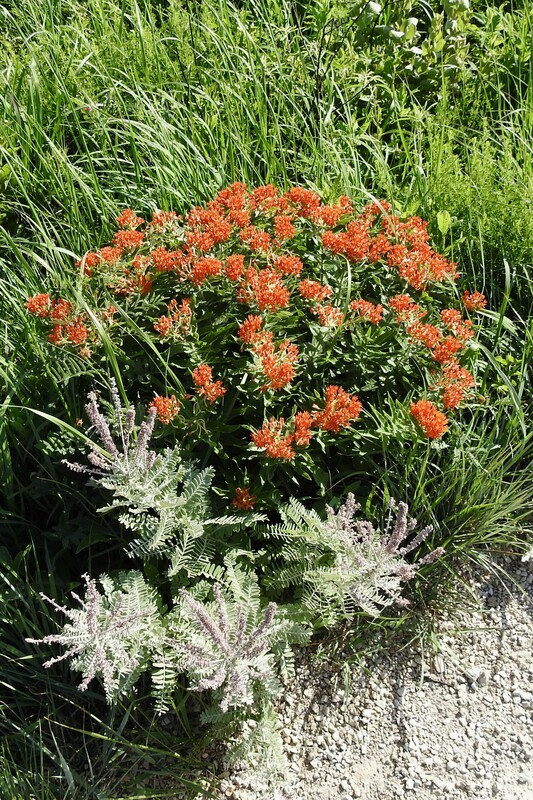 Original prairie refers to tallgrass landscape that has never been plowed for other uses. 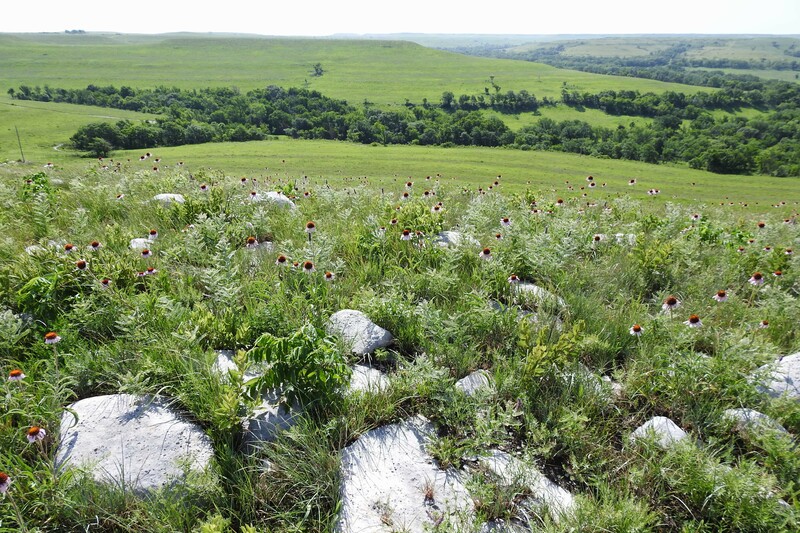 The largest swath of original tallgrass prairie remaining is in the Flint Hills of eastern Kansas. It extends from the northern border of Kansas on the Nebraska border, 200 miles south to just inside the state of Oklahoma. It is 80 miles wide at its widest point. Its rocky terrain made it an undesirable area for farming. If you walk through the tallgrass prairie of the Flint Hills you will find pieces of chert, big and small, scattered across the landscape. 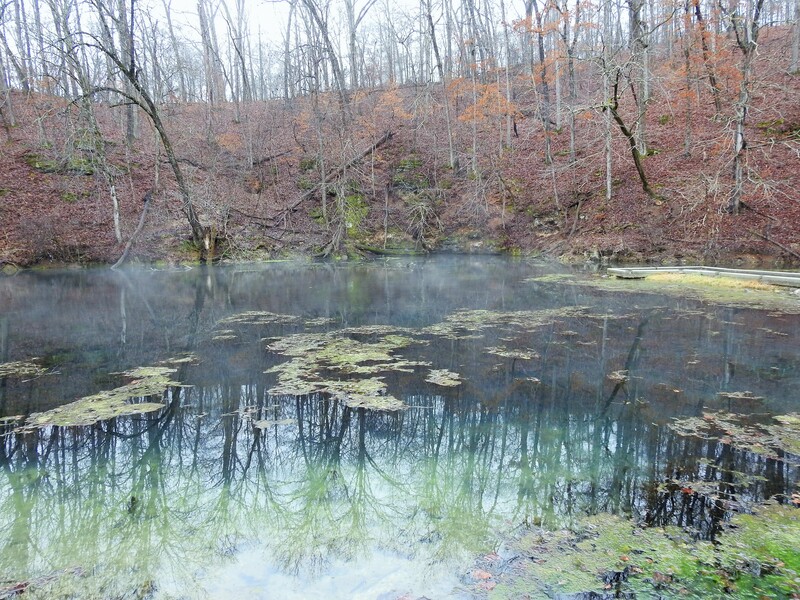 The underlying bedrock of the area is limestone and shale. Over time this bedrock weathers, erodes and dissolves. Chert is a very hard rock found within the layers of the bedrock. 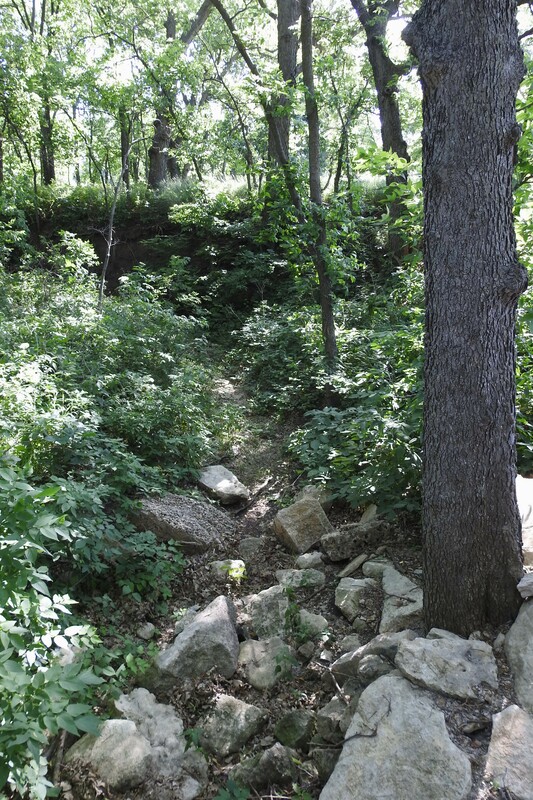 When the limestone and shale erode away, the chert is left behind. Another name for chert is flint, and flint is what Native Americans used to make their spear and arrow heads. Chert, or flint, is left behind when softer rocks around it erode. 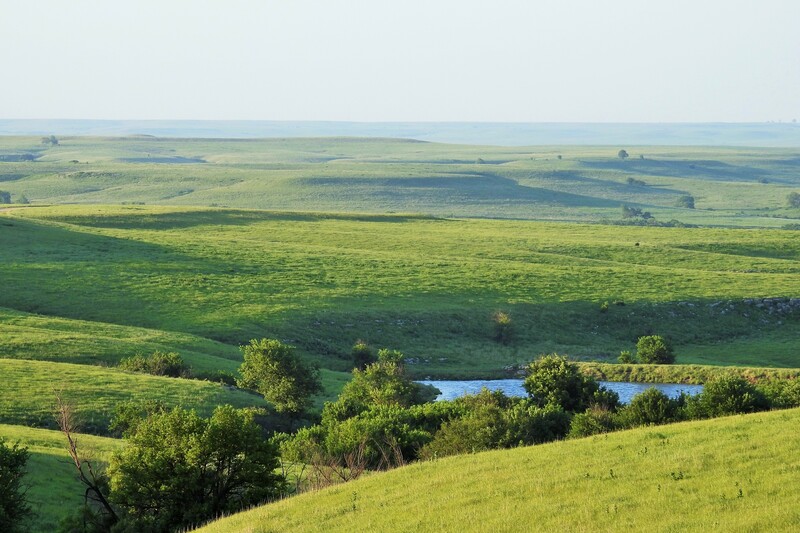 You will find flint scattered throughout the tallgrass prairie of the Flint Hills. 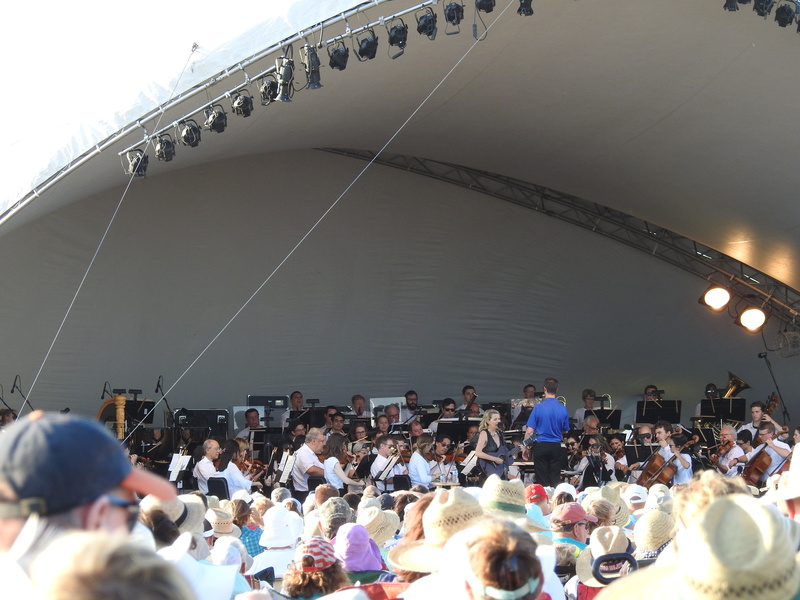 We have been to the Flint Hills before, but one of my bucket list items has always been to attend the “Symphony in the Flint Hills”. This year was the year, and we gave each other the trip to the symphony as Christmas gifts. 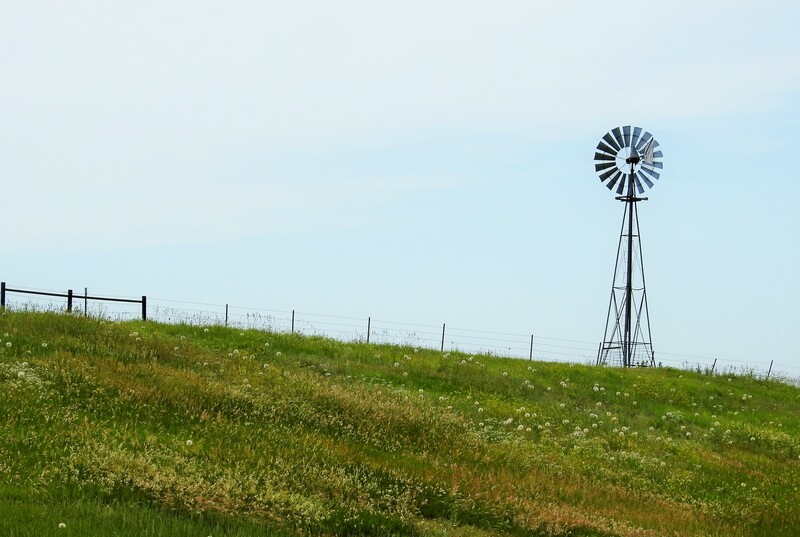 We spent three days exploring Kansas in addition to attending the concert. 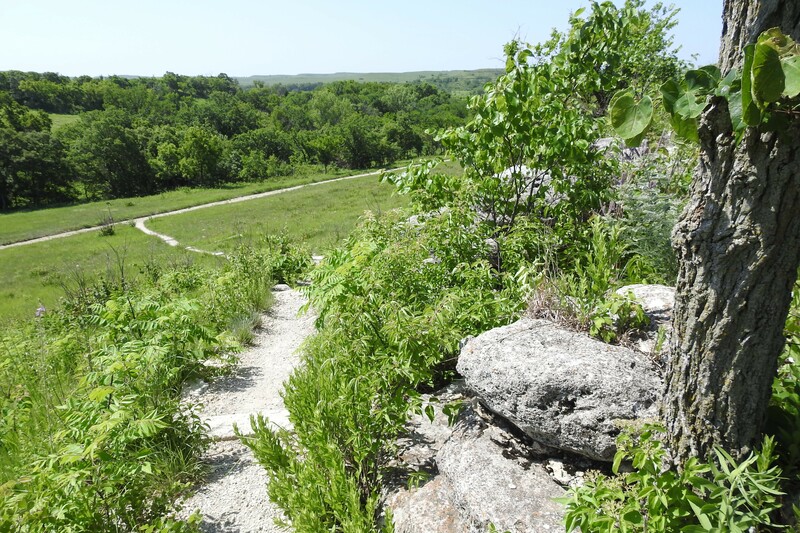 We were also excited to visit a place about which I have read a lot…Konza Prairie in Manhattan, Kansas. 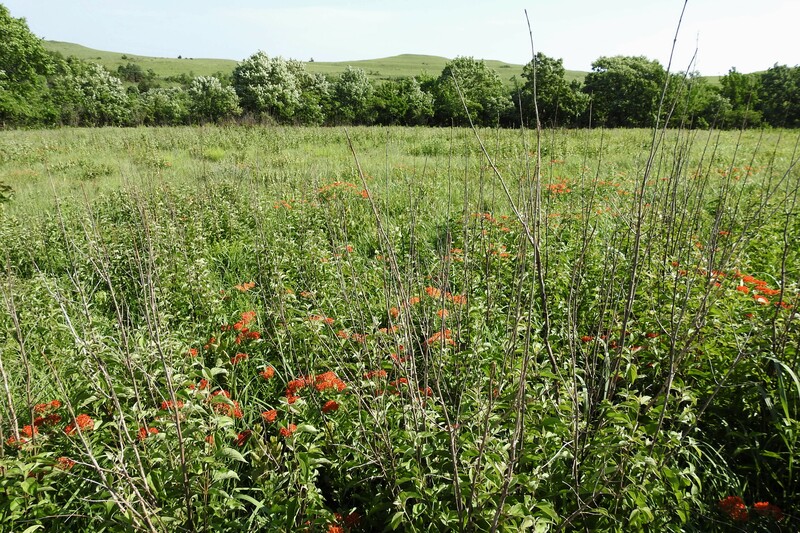 It was a major goal…to walk that prairie! I have visited several prairies in Missouri, where our Conservation Department has saved many remnants of original prairie. 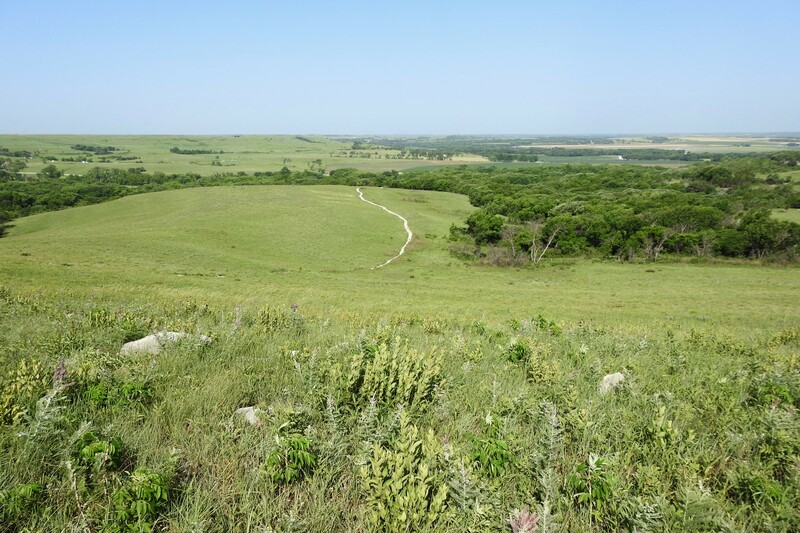 But, honestly, there is simply nothing I have ever experienced on the prairie quite like the thrill of hiking Konza Prairie…even if it was 100 degrees when we finished (that is why you start out early in the day)! Please understand, trees are not a common feature in the tallgrass prairie, and that sun is hot as you approach noon. We were happy we had taken a lot of water with us…and our hats. The following pictures are but a few of the many I took as we hiked the shortest trail, about 2 1/2 miles. Starting out on the trail. 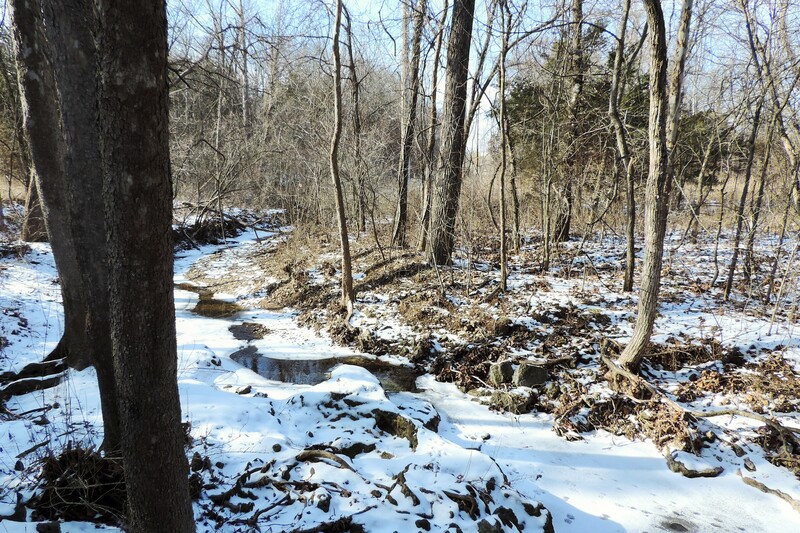 This creek, dry this time of year, these trees, were a welcome sight after a couple hours in the bright sunshine of the Kansas prairie! 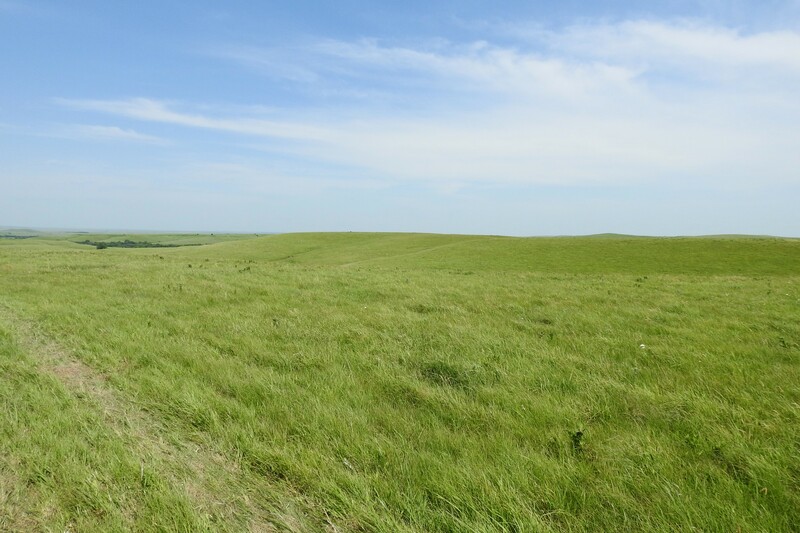 When you hike the prairie, landscape is not all there is to take in. I have never seen so many butterflies on so many flowers in all my life…and I have been around a very long time. Butterfies, wildflowes, birds on plant tops…I call it eye candy! 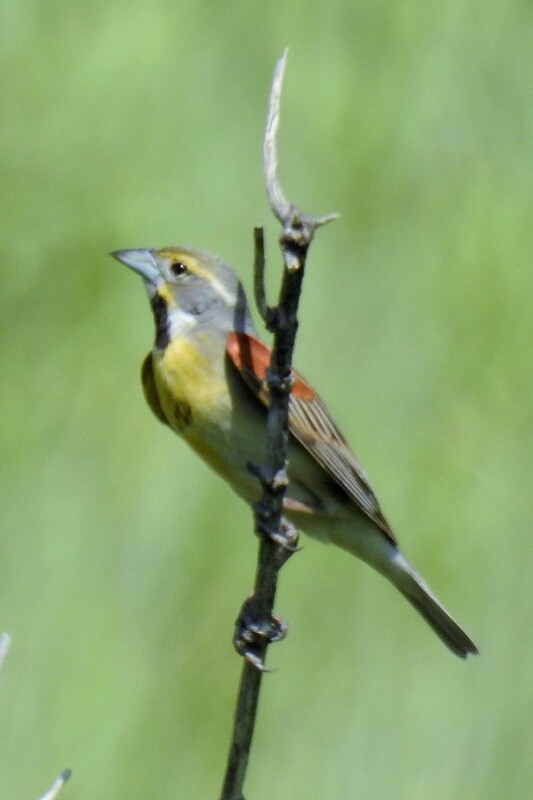 Finally it was time to experience the purpose of this trip…the “Symphony in the Flint Hills”. We arrived early in the day, and took in the many events that are part of this big day. We heard talks on issues important to those who live in, as well as those who visit the Flint Hills, took walks through the open land, and rode a covered wagon, until we got to the highlight of the day…the Kansas City Orchestra playing on the open prairie as the sun sets and the sky becomes a field of stars in every direction. It is simply stunning. 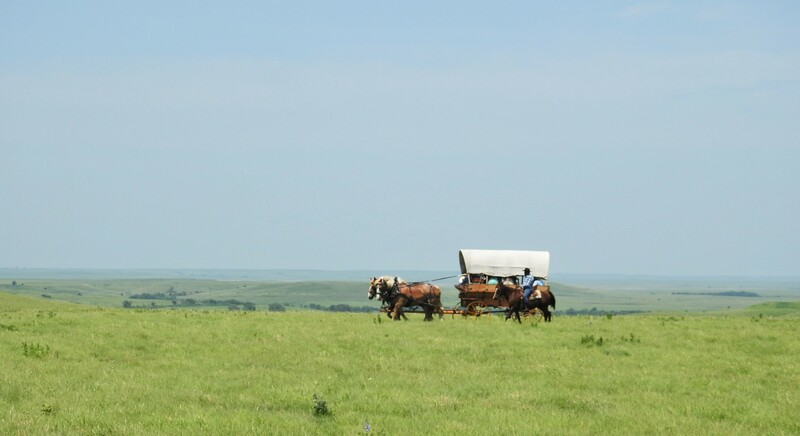 As we mulled around the ranch which was the site of this year’s concert, we took the opportunity to take a ride on a covered wagon. Just as dusk fell, the concert began, and it was amazing! 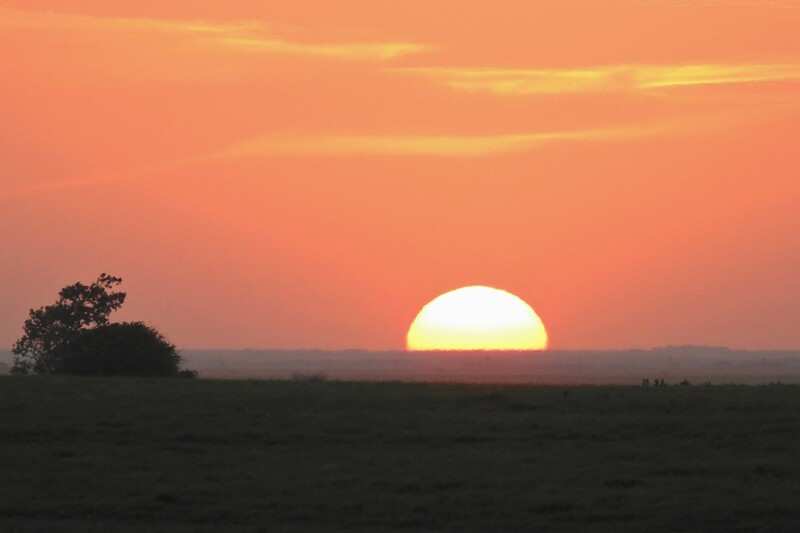 And absolutely nothing beats music, out in the open air, watching the sun set on the immense American tallgrass prairie! While visiting a new place, I always like to find a food that is unique to the area. In Kansas, I found Bierocks (pronounced “brocks”). Bierocks are a traditional German food, brought over by immigrants who settled in Kansas and established the farming that has made Kansas part of the world’s greatest supplier of food. Bierocks are traditionally made with ground beef. I use ground bison for our bierocks, it is lower in fat than beef, and is a traditional food source of the western United States. For many years you could not find bison to purchase for food, but there is a resurgence in its use…and it tastes really good. These little pocket meals are tasty, and though they take a bit of work, we always have extras. I put the leftover Bierocks in the freezer, and we take them out from time to time for a quick and delicious lunch that takes only two minutes to heat in the microwave. Combine 2 cups of flour, yeast, sugar and salt in your mixer bowl and mix well. Set aside. Heat water, milk, and butter in a small pan just until the butter has melted, no warmer than 130 degrees. Add the liquid ingredients to the dry ingredients and mix. At low speed, blend until moistened, then beat at medium speed for 3 minutes. Gradually add remaining flour by hand, until you have a stiff dough. Knead on a floured surface for 10 minutes. Cover and let rise in a warm place free of drafts until doubled, about 1 hour. Punch down and let rise again until almost doubled. Brown bison with the onion, salt and pepper, then drain. Mix in the cabbage and set aside. Cut into 5 inch squares and spoon about 1/2 cup of meat mixture onto each of the squares. Bring up the sides of the dough to enclose the filling, pinching it closed to form a meat pocket that looks a lot like a hamburger bun. Place on a greased baking sheet, and bake at 375 degrees until golden brown. We have always had a goal of visiting each of the fifty states. As this, our fiftieth year of marriage began, we set our sights on reaching that goal, visiting the two states we had not yet seen. In April we flew to Nevada to check off state #49. I was not particularly excited…my knowledge of Nevada was limited, and when thinking about Nevada, the mental connections I made were desert, Las Vegas, and gambling. 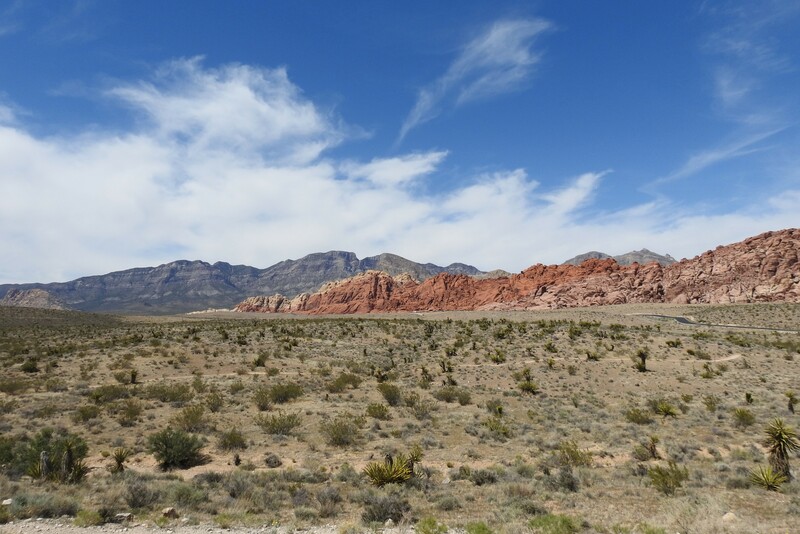 But then we took a tour of Red Rock Canyon National Conservation Area, and my mind’s eye view of Nevada will never be the same. 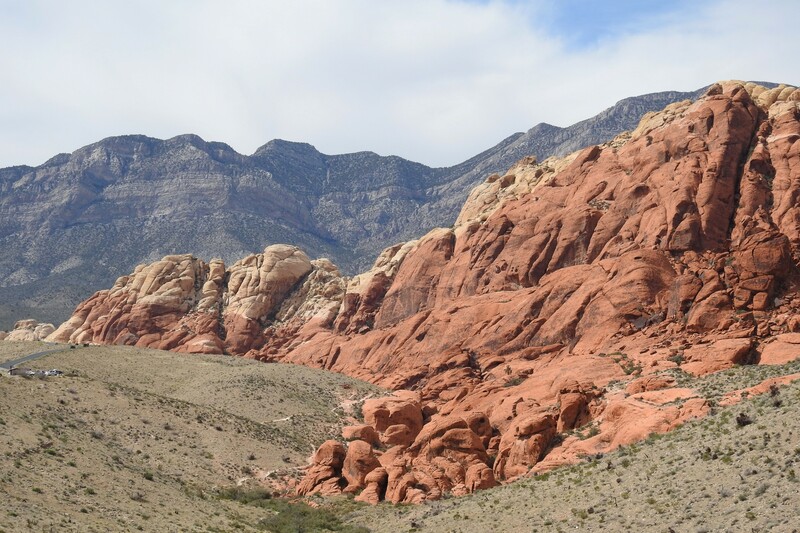 Millions of years ago, the land that is now Red Rock Canyon laid under a deep ocean. When this ocean receded it left behind deposits of shells and the skeletons of ocean life that lay up to 9,000 feet thick. 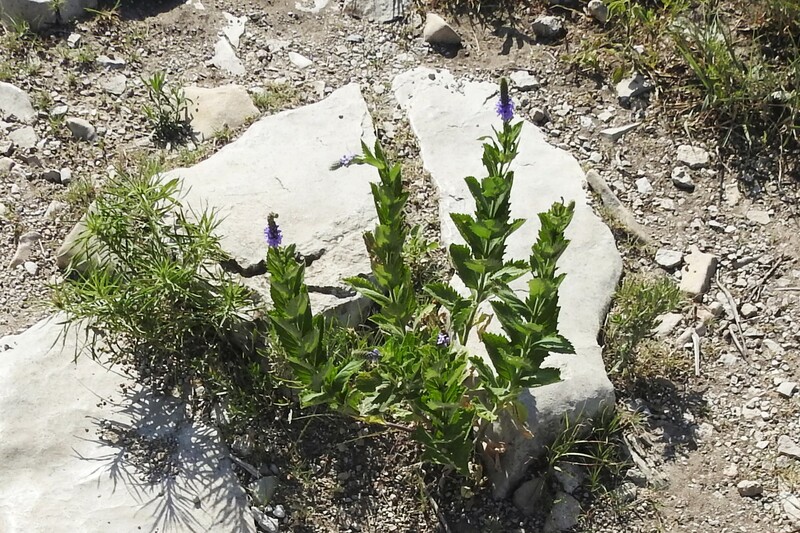 These deposits, when compressed, formed into limestone and other carbonate rocks. Over subsequent millions of years, the land changed again and again. At one point, movement deep within the Earth caused the sea bed to rise. 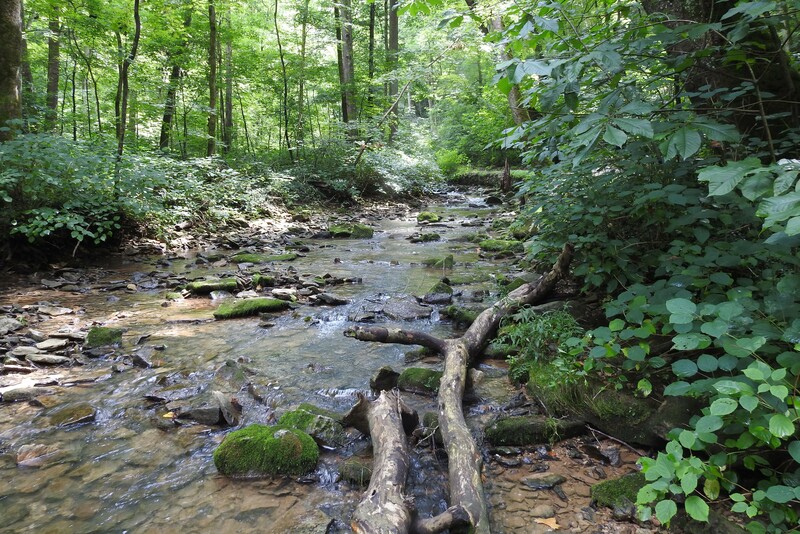 Mud and sand entered from streams draining into the landscape and eventually became compressed into shale and sandstone. 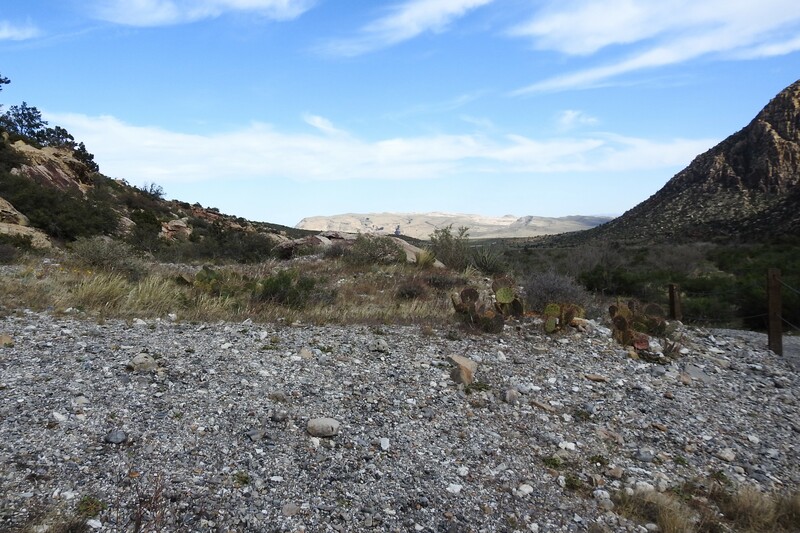 By 180 million years ago, the area became the arid desert we know today. 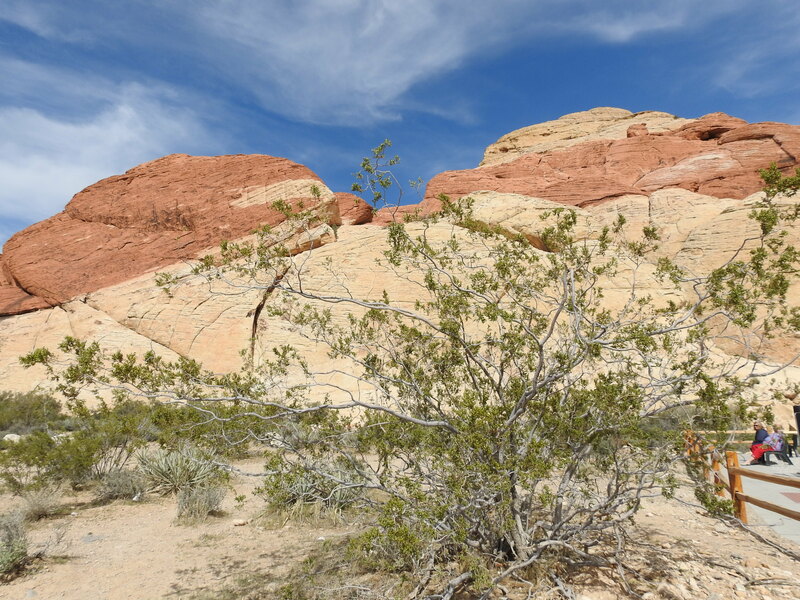 Red Rock Canyon is in the Mojave Desert, the driest desert in North America. 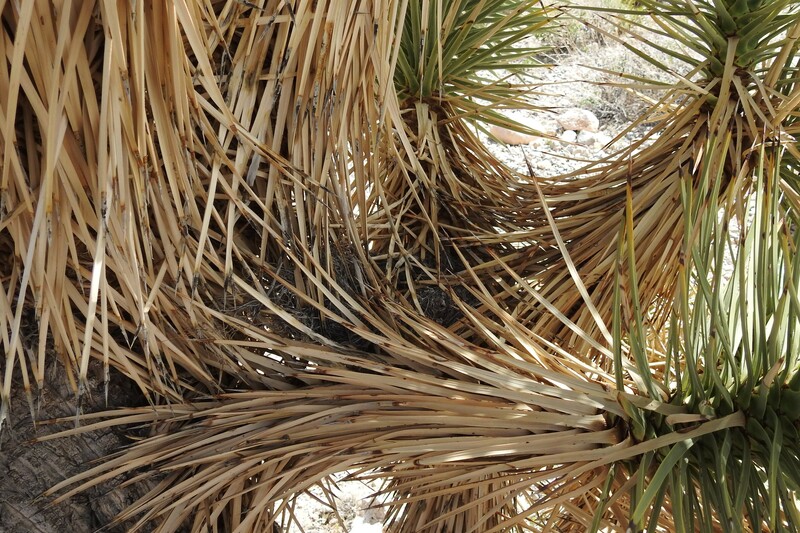 The dunes that stretched across the area blew and blew, they shifted, then shifted again. The dunes grew and they receded, and over time, they formed lines, “crossbeds” which were cemented together by new sediments, fusing them forever. 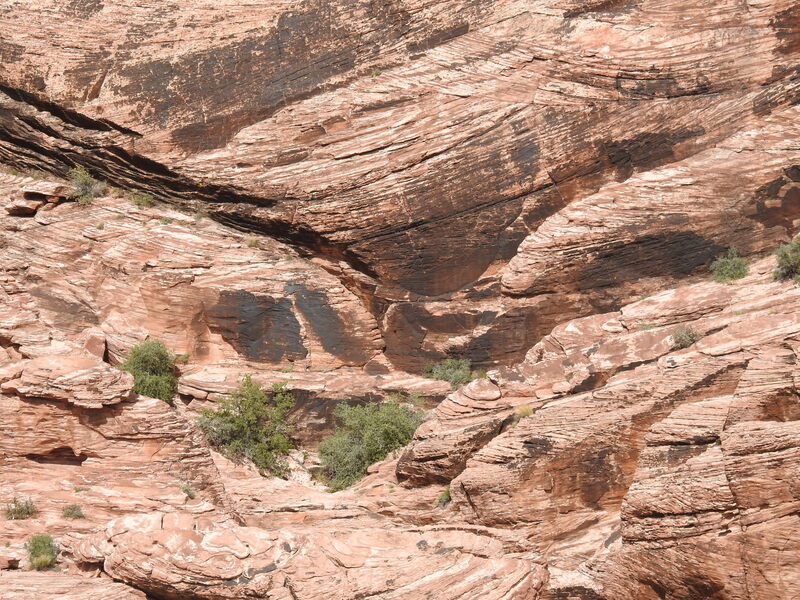 Iron present in the sandstone is what gives the rock in the canyon its red color. And then, finally, about 65 million years ago, there was a dramatic uplift, the Keystone Thrust Fault, from deep within the Earth’s crust. 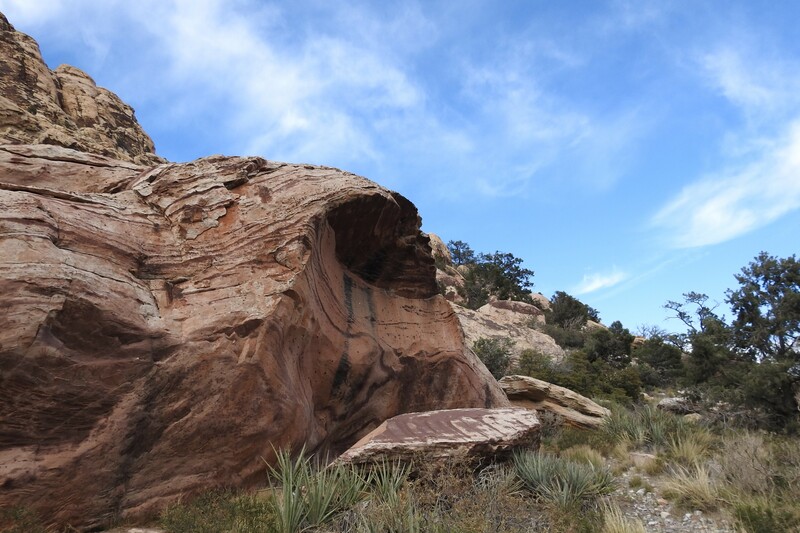 This caused the oldest rock in the crust, the gray limestone carbonate rocks to push up and above the younger sandstone. 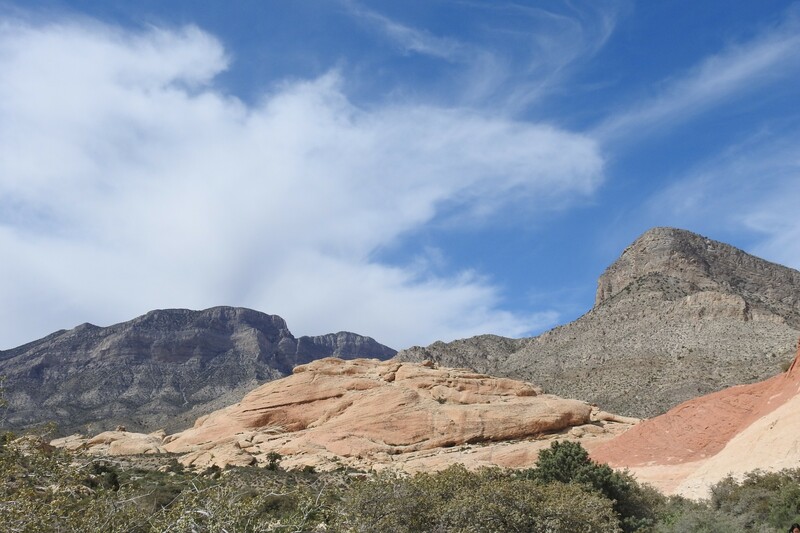 To take a look at Red Rock Canyon, we took a jeep tour with a knowledgeable and passionate guide. He took us all around the canyon and answered any and every question we had. 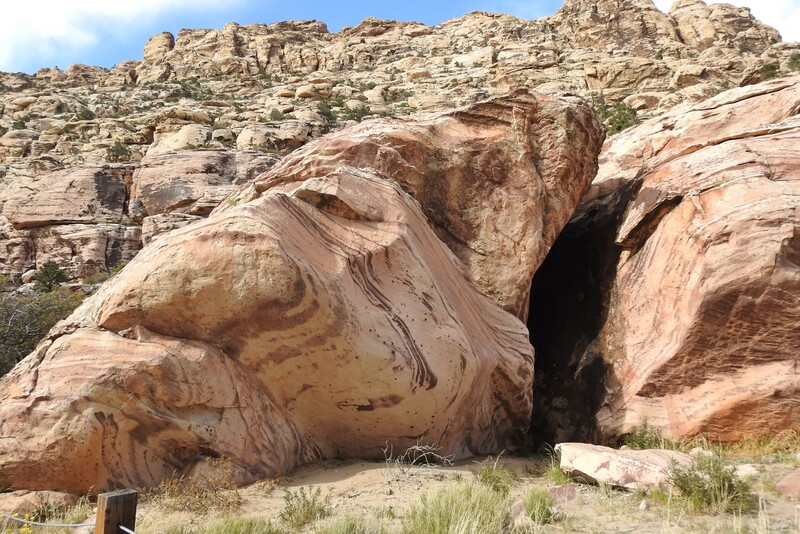 If you ever find your way to Las Vegas, look up Pink Jeep for some of the very best tours available anywhere. 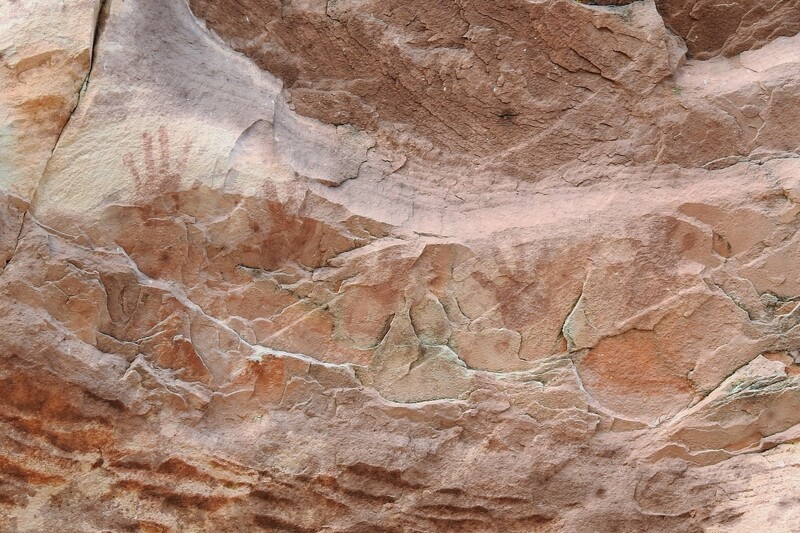 One of my favorite places in the canyon is that place where you can see real evidence of Native American life and activity from centuries long past. We spent a bit of time in this area, enjoying the beauty of the place, as well as discussing the lives of the people who, at one time, called this place home. Hunter-gatherers were the first to inhabit the area, with the most recent occupations being of the Paiute and Anasazi people. 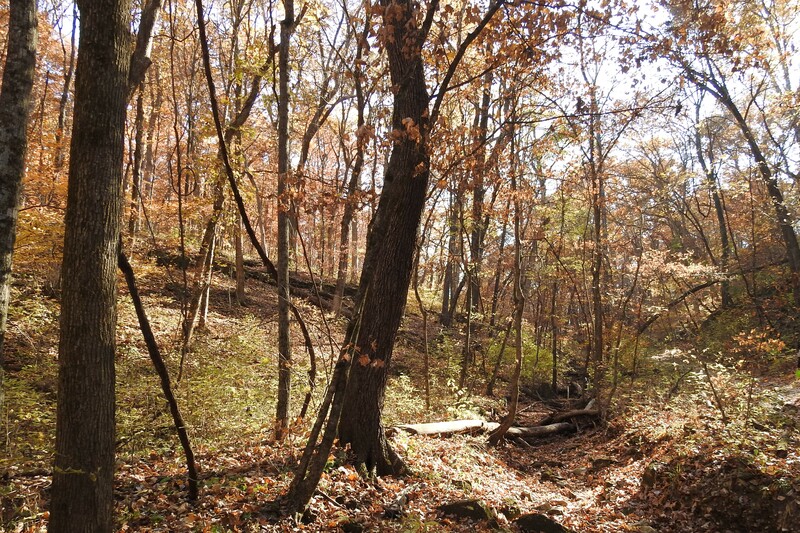 There is evidence at several places of fire pits that were used by the Native Americans. 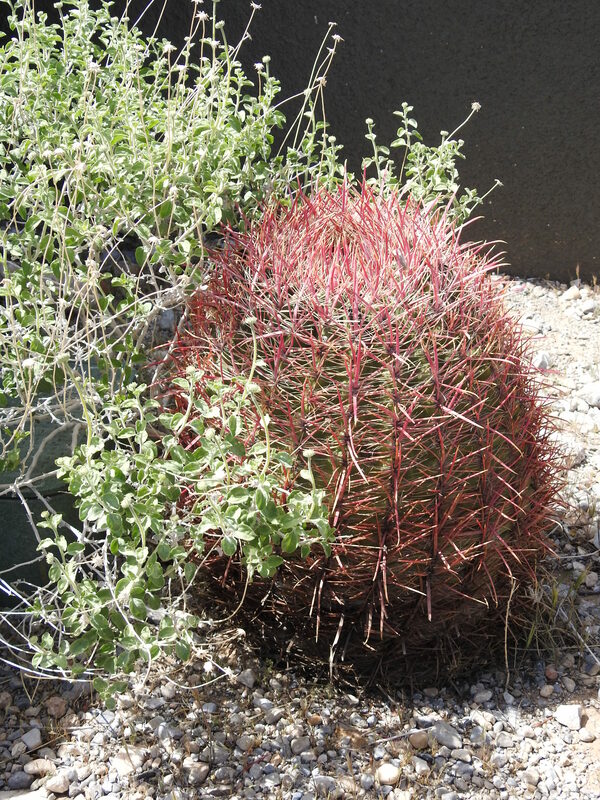 Today those fire pits are home to many desert plants. 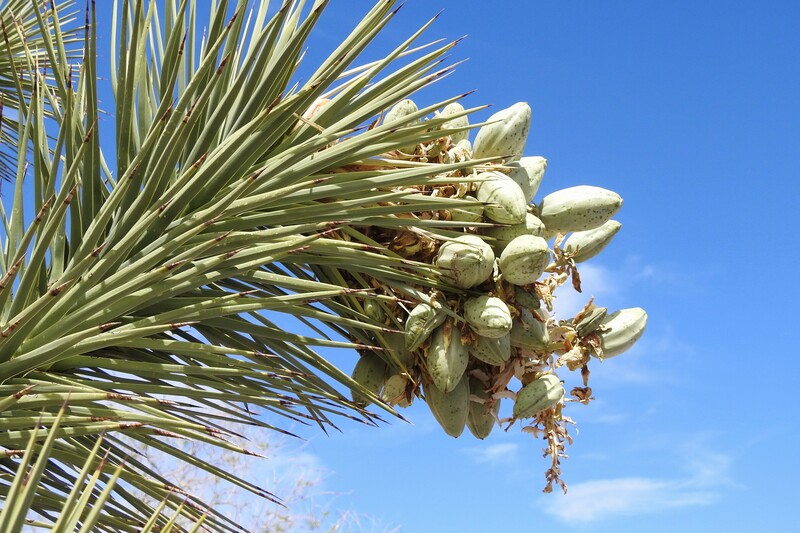 So, if you ever find yourself thinking about a trip to the American southwest, and you are not a city person, or a gambler; you would describe yourself more a nature lover, an adventurer, don’t count Las Vegas out. Once outside town, and its hotels where you can spend your nights. there is so much more to the area than casinos and glitzy shows. I am so glad we found ourselves in Nevada! After returning home, I found this recipe, and tweaked it a bit, to help us remember the time we spent at Red Rock Canyon. Fry Bread was a typical bread made by Native American women…and these bread tacos are delicious, and we think much more filling than typical tacos. Fun and filling way to make tacos. Mix the dry ingredients and add warm water. Work with hands until dough forms and allow to sit for 5 minutes. Break dough off to a bit larger than the size of a golf ball. Roll dough into 6 inch circles. Fry each piece in 2 inches of hot oil in a medium saucepan. When the dough is golden and poofed up, turn the bread and fry on the other side. Drain on a paper towel. 2/3 cup water, you may add a bit more if you like. Add package of taco seasoning and the water. Stir in the refried beans. To assemble the taco. 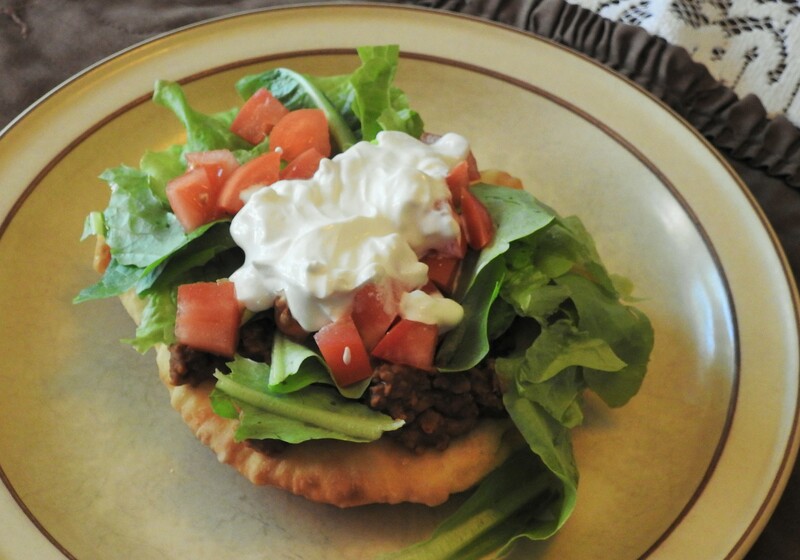 place some of the meat mixture on top of a fry bread, then top with lettuce, tomatoes, and a dollop of sour cream. But I am changed. I wake up each and every morning and instantly feel a smile crawl across my face…it is a new day, and I have another chance to make the most of all I have been given. I never understood how precious that is until I almost lost it. 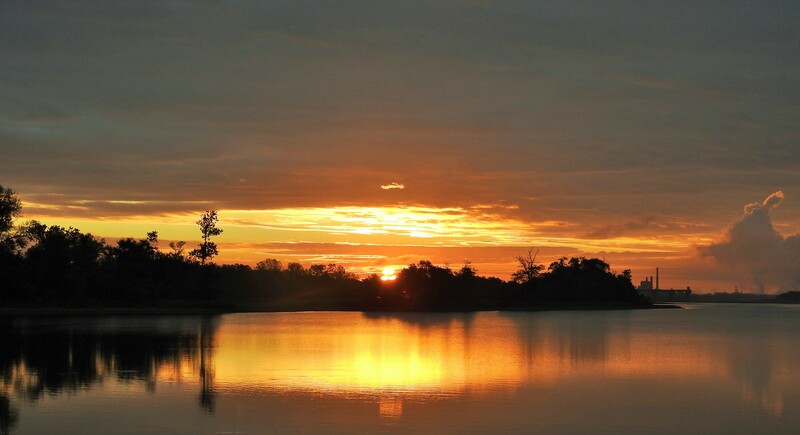 Shortly after my illness I woke up each morning and rushed out to see the sun rise. 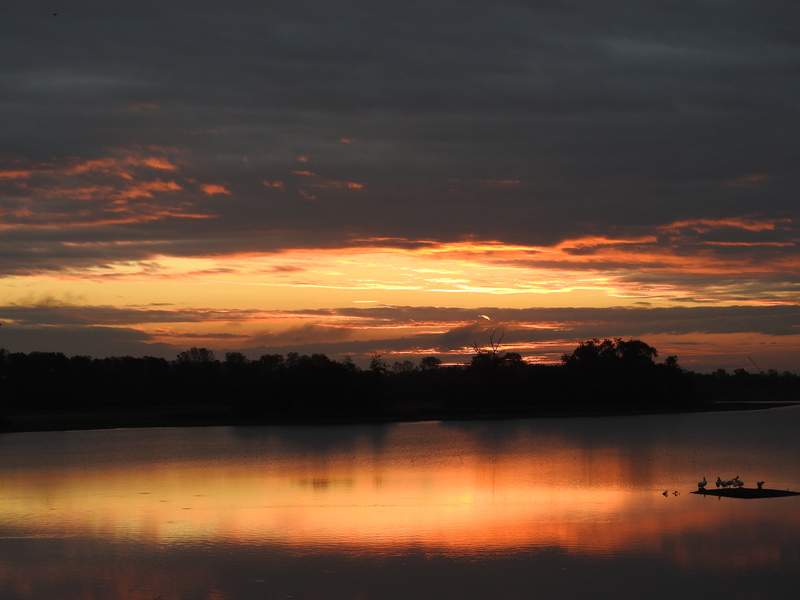 I created a small portfolio of 30 sunrise pictures that I named “A Month of Sunrise”. I even took a picture on the days the sun could not be seen. I knew it was there in the eastern sky…right where that brighter spot was. It started as just a trigger to get me going, to wake up my day to what it could be, but by the end of the month it was so much more. I noticed things I had never noticed before. I learned to look at the whole sky. There were so many colors behind me that I had never before turned to see. I saw people up and about, starting their day just as I was starting mine. I realized that for each of them, there were things they were thinking about…some good things and some bad things, some things that filled them with joy, some things that terrified them. For each of us, we were facing a new day…and it would be whatever we would make of it. I learned to listen as well as to look. I heard birds I had never noticed before. I heard wind blowing through the trees, across the field, behind the buildings. I smelled the dew, and the freshness of a new day. I saw critters waking up and starting their daily routine. I understood better than ever before that the world is a lot of us, doing a lot of things, living a lot of different realities. I no longer take any day for granted, and I still run out to see the sun rise every chance I get. Sometimes, when I am visiting them, or they are visiting me, my children come with me. They, too, have learned to welcome a new beginning each day. The sunrise gets me going, lights my way…the sunset makes me grateful, and helps me to sleep each night…after I run out to catch the moon in whatever phase it is in! 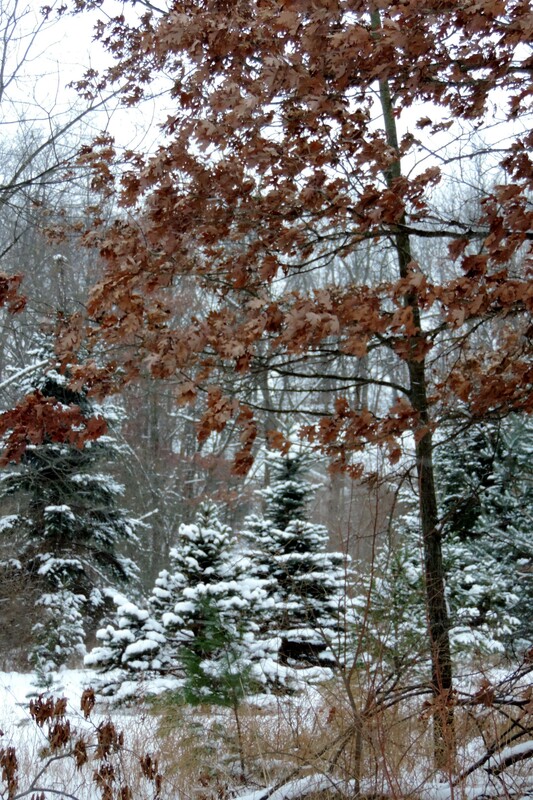 Just me and my camera…in my favorite place!